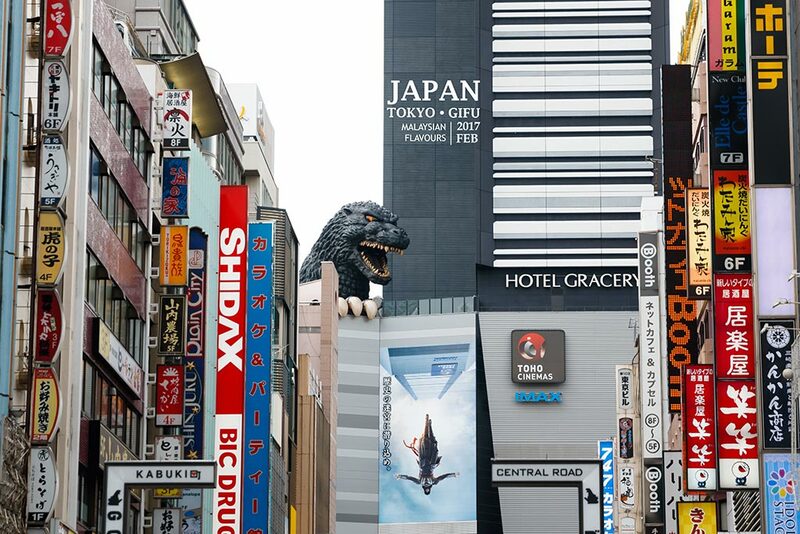 Hello Japan! So happy that we returned to The Land of Rising Sun sooner than expected. 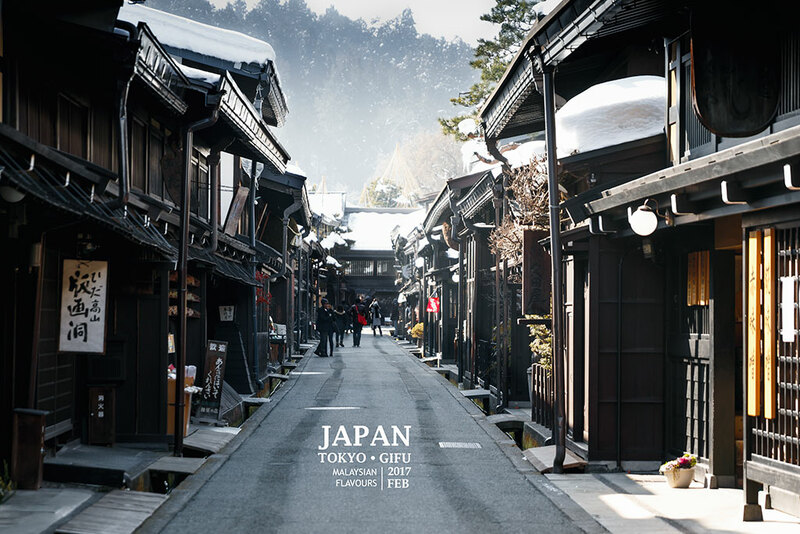 We initially thought of going back end of this year for autumn in Tokyo but well, there’s always uncertainty that creates possibility so here we are, on a 5D4N Japan winter trip. 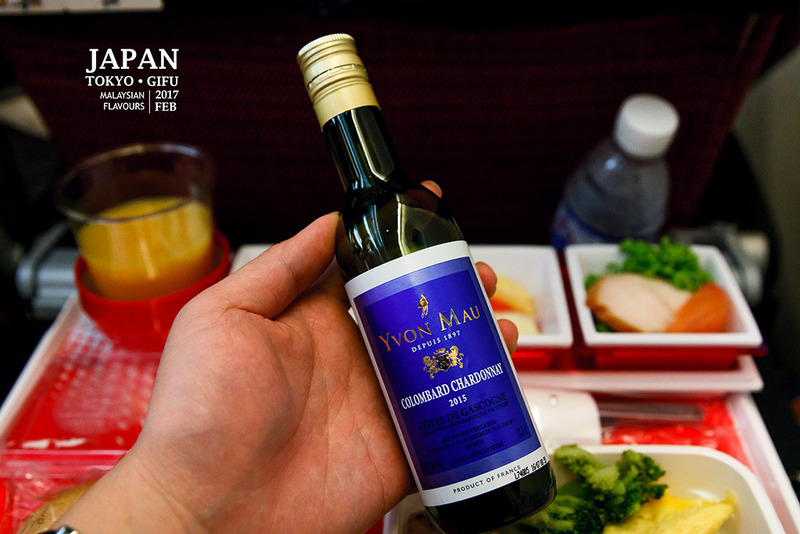 Sit back, relax, drink sake and read our exciting journey! 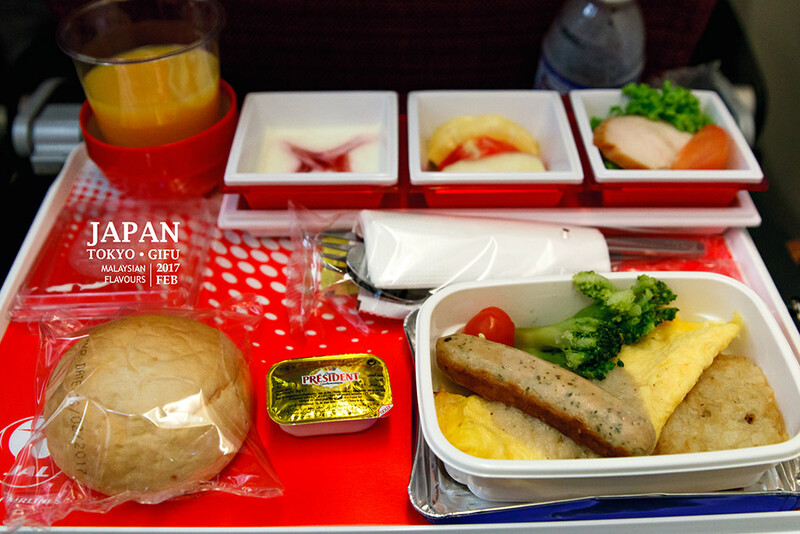 We boarded Japan Airlines this time, a ticket fare that included 2x 23KG of baggage and a meal on board. 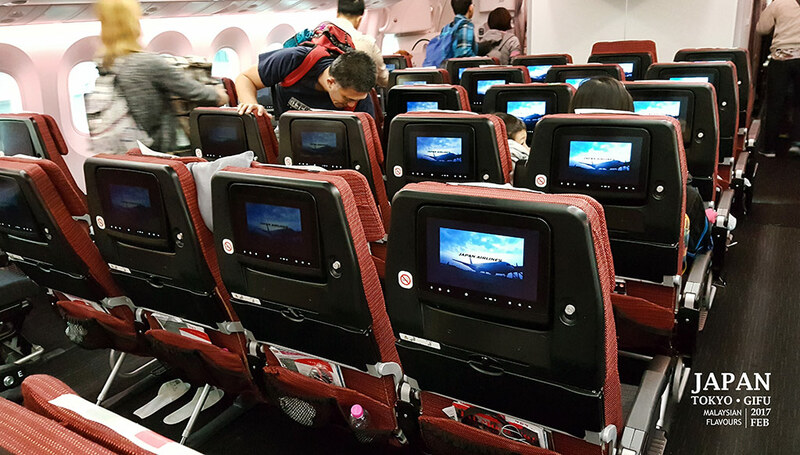 Sometimes we do prefer normal airline over budget airline when comes to luggage price, but we get a balance from both types of airlines since each carries advantages and vice versa, depends on where you are flying to. 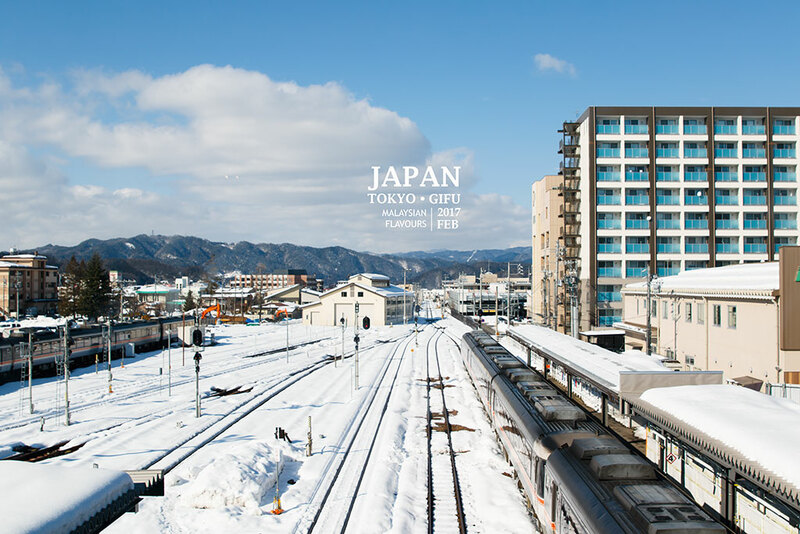 Trip this time focused on Hida, Takayama, Gero and Shirakawa-go, all within the mountain regions of Gifu prefecture with heavy snows from Dec-Feb. Then followed by a short 2D1N in Tokyo city. 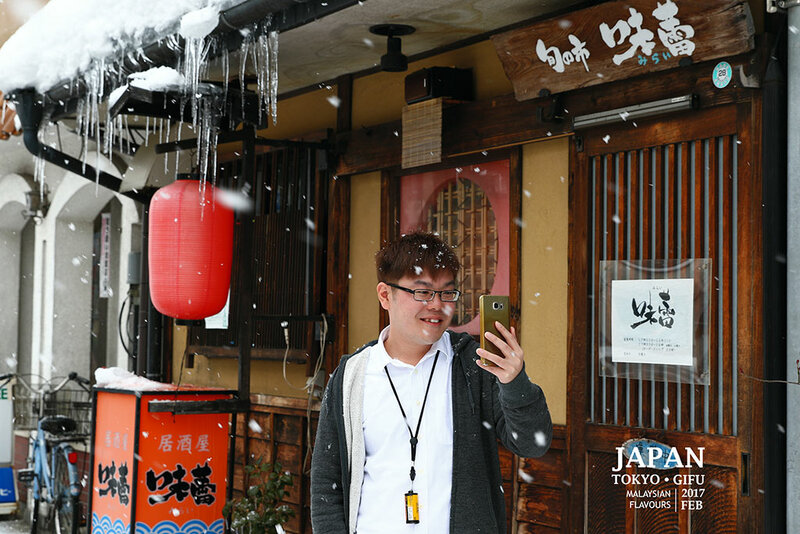 Winter in Japan is no joke, so get your mask, scarf, winter hat, long sleeves clothing, down jackets, hand gloves, heat pad, or whatever that can keep your body warmth ready, plus a pair of good shoes to walk on. Flied 3323miles and we touched down at Narita Airport. Japan Airlines from Kuala Lumpur flies only to Narita Airport, so we went to Haneda Airport by limousine bus. 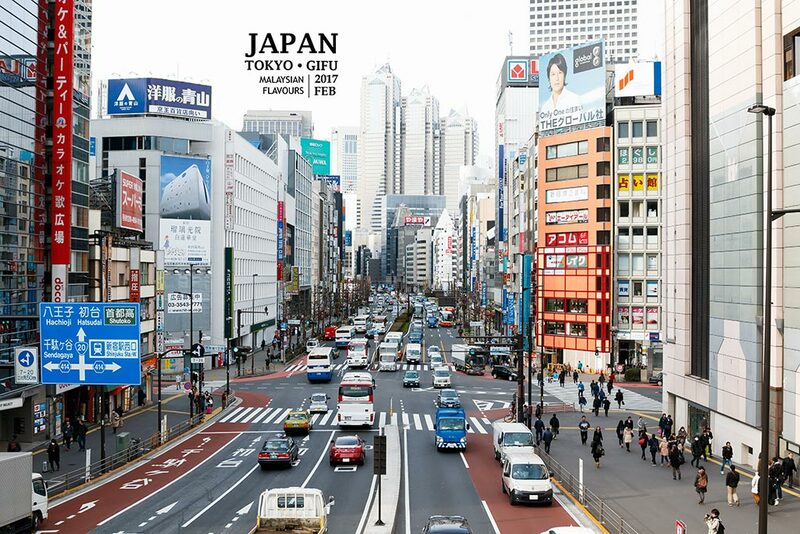 The easiest way to transfer between two airports with travel time about 90 minutes, 3100yen per adult. 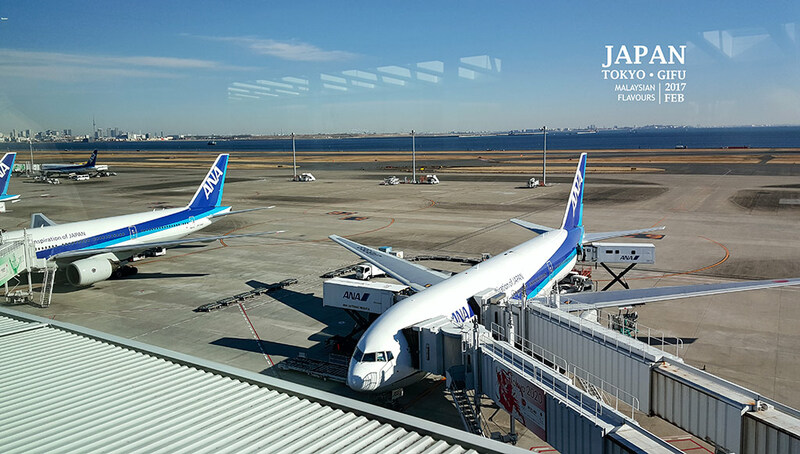 From Haneda Airport, we had local transit to Toyama Kitokito airport through ANA Airlines, a journey of 55minutes. Took another 25minutes local bus from Toyama Airport to Toyama station. Finally, we were on our way from Toyama to Hida-Furukawa by JR Takayama Line Limited Express. 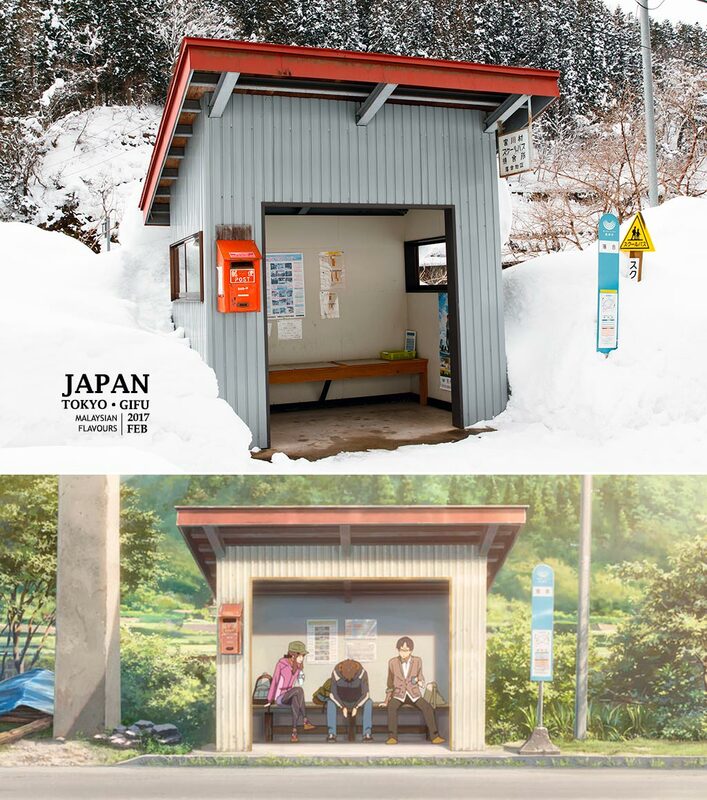 Was thinking about Tateyama Kurobe Alpine Route all the way because of Toyama transit. Hahaha! Will come back soon. 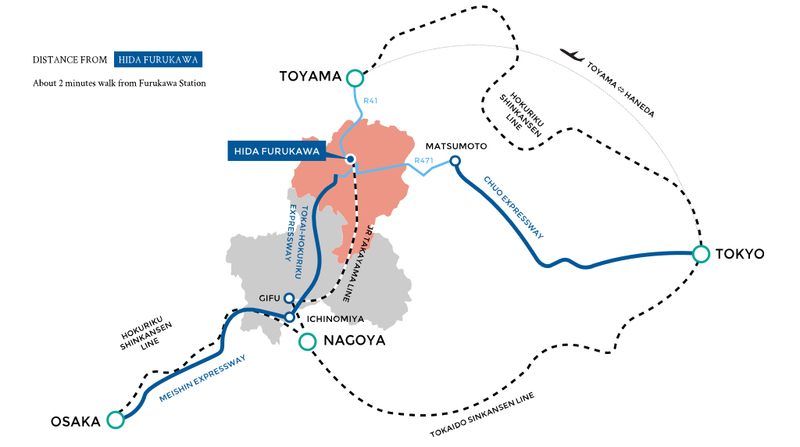 Actually, if you were coming from Tokyo, it is easier to reach Toyama Station directly with bullet train Hokuriku Shinkansen that connects Tokyo Station – Toyama Station, started in 2015. 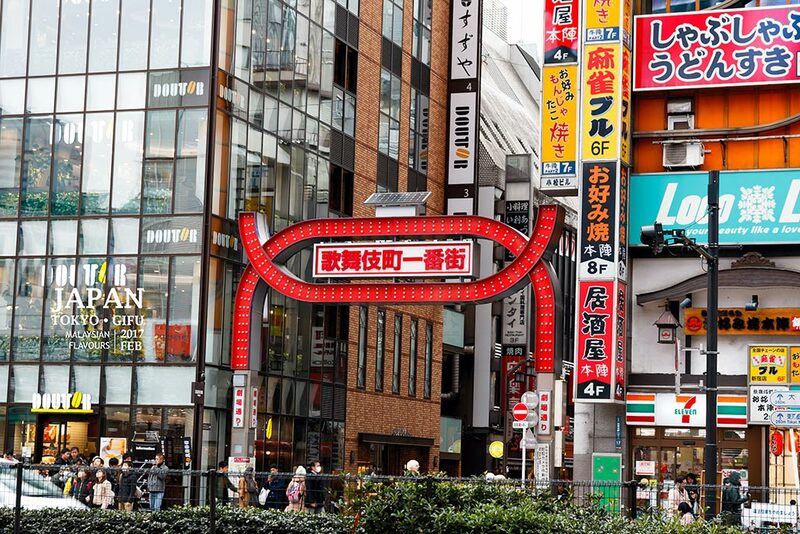 There are many ways to reach Toyama and Hida region from big cities in Japan like Osaka, Nagoya or Kanazawa, thanks to their convenient transportation system that spans out like multi-spider webs. 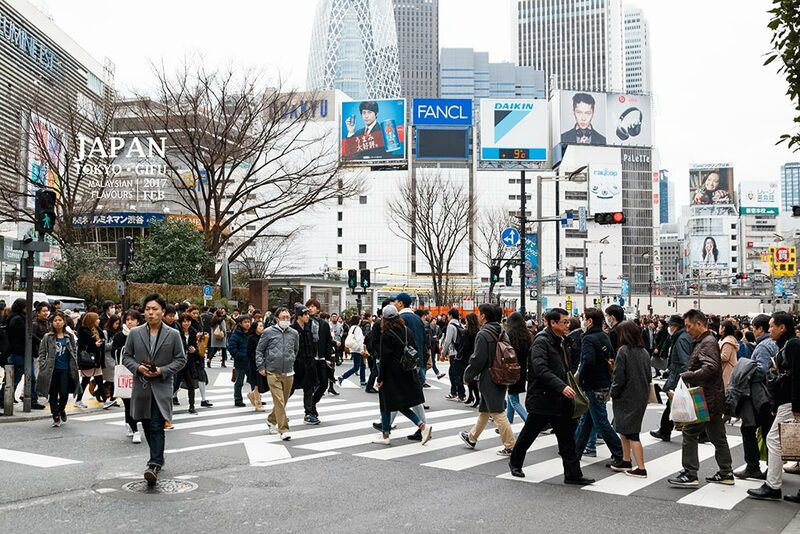 Japan still constantly improves on their future transportation, on applications sides, that really helps tourists a lot. Began exploring the town. 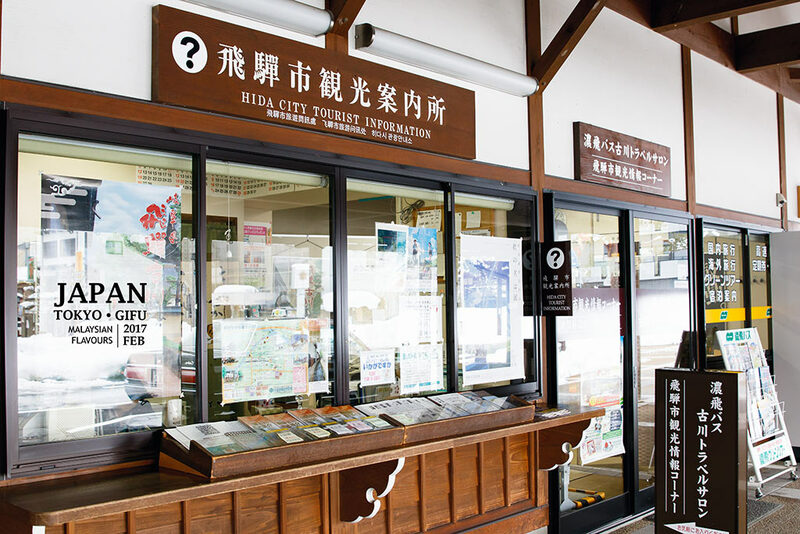 You may get Hida-Furukawa map from the tourist information centre next to the JR Station. 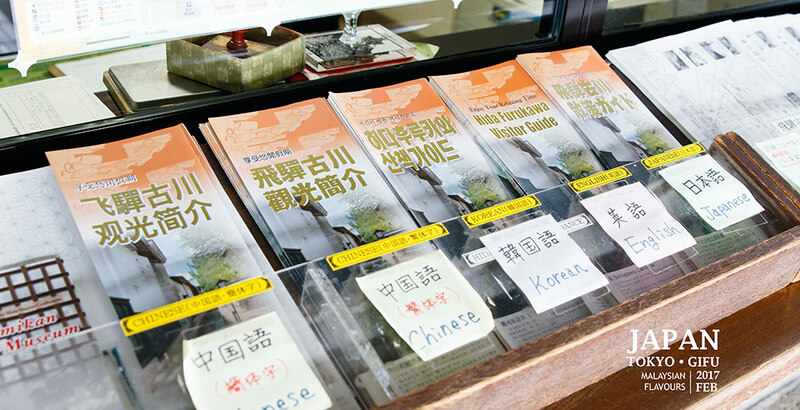 Available in various language. 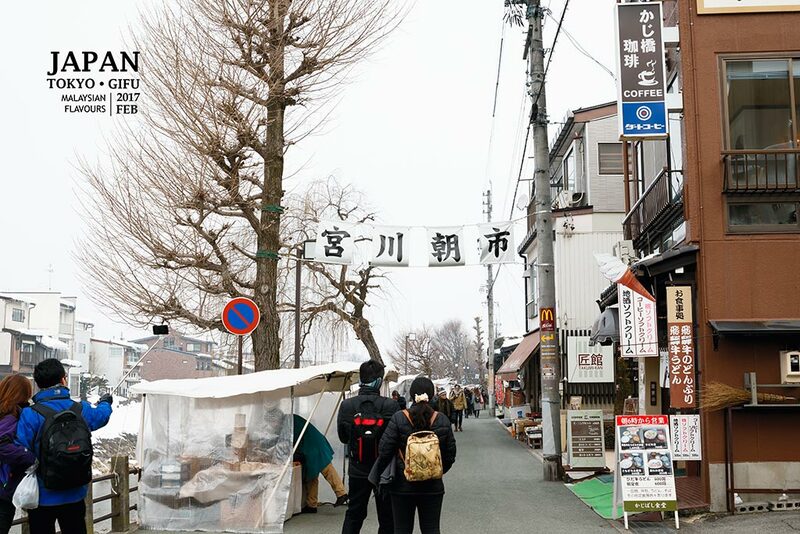 Hida-Furukawa is not a big place, just follow the map and you can walk to almost all attractions. A half day should be enough if you just wanted to stroll around. If you wish to register for braid making classes, learn about local woodworks skills of Hida no Takumi, sake tasting, cycling tour, satoyama experience and so forth, you may need to add a day or two. Hida town was pretty quiet that day, probably because it was a chilly weekday. A local told us there will be more crowd during weekends. Carps and canal. 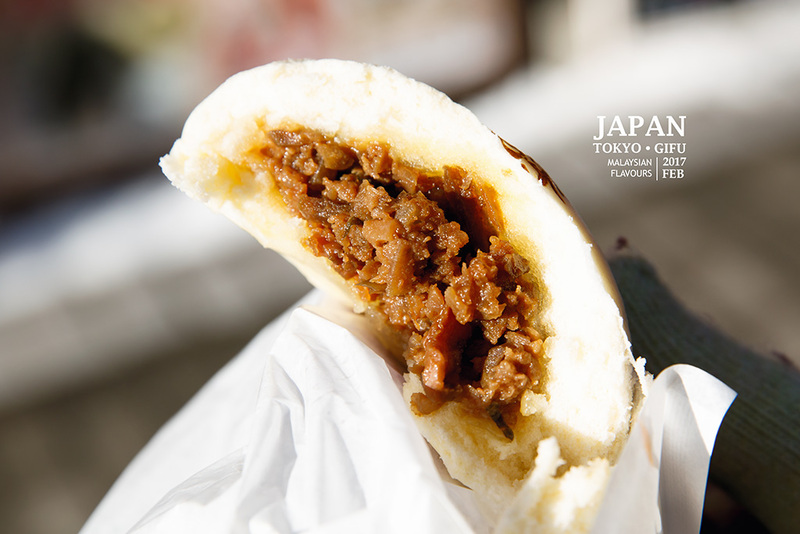 One of the highlights in Hida-Furukawa town. Seto-gawa flows through the place in small waterway, with about 800 carps swimming inside. Water is crystal clear, something that you can hardly see back in Malaysia. The river, named after the caretaker “Genbei Setoya” who also made the river, is beautifully lined up with white stonehouse at one side, named Yatai-gura. They are used to store float – an important “mobile construction” used during Hida-Furukawa Festival in April. 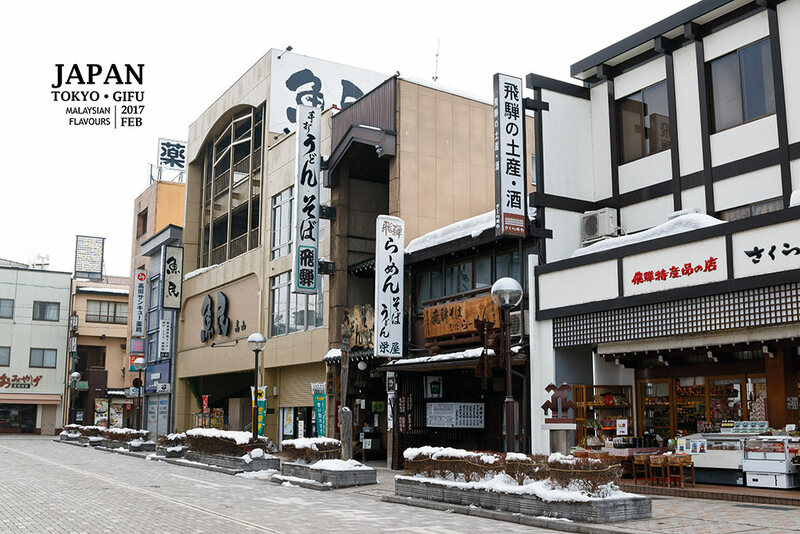 Ichinomachi Street, Ninomachi Street and Sannomachi Street – the three main old streets you must explore in Hida-Furukawa town. All looked alike to us because of the snow. Hahaha. Can have some shopping and eating around. Snow, snow, snow and more snow. Non- stop taking pictures because it was so beautiful! Sake brewery, another highlights in Hida-Furukawa. 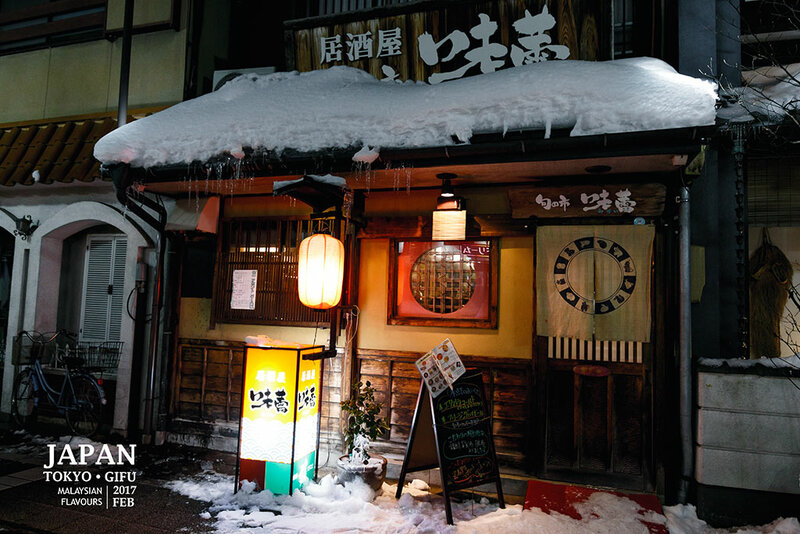 There are two brewery in Hida Furukawa, which is Watanabe Sake Brewery and Kabe Sake Brewery at Ichino-machi Street. Bought a small bottle of sake here at 500yen. Regret for not buying more. 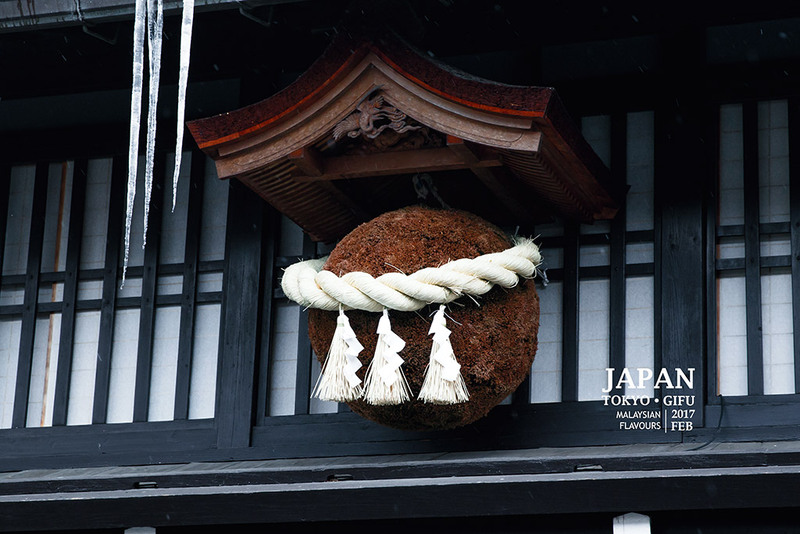 Giant ball made from Japanese cedar leaves, hung at the entrance of sake brewery. 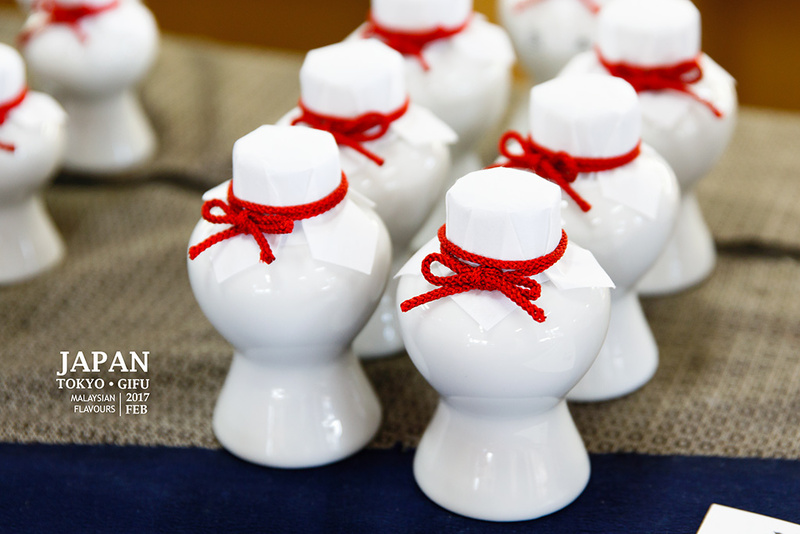 When it is fresh and green, it signifies a new sake is being brewed. It turns brown slowly as the maturing process of sake takes in. When the ball turns complete brown, sake is ready for purchase! 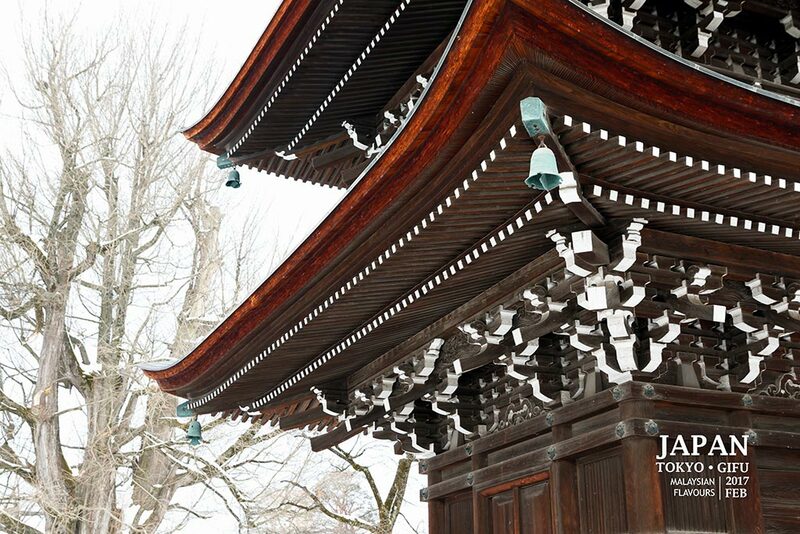 There are 3 major temples in Hida-Furukawa, such as Honkouji Temple, Enkouji Temple, Shinshuji Temple. You will easily pass by them when walking around the town. 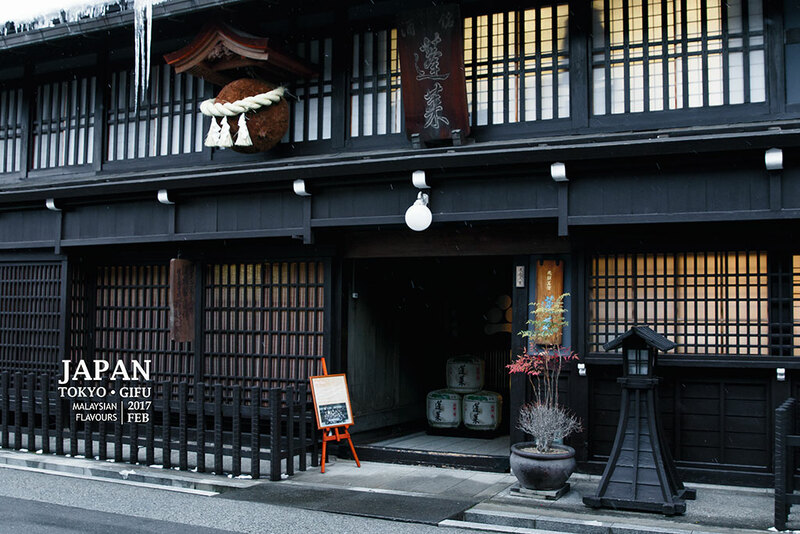 Hida-Furukawa is prides for their skillful craftmanship. They have “Hida no Takumi” or “Hida’s Master Builder” who can do really good woodwork. Check out those “cloud” (kumo) carvings below the roofs in some buildings, built with same pattern. Or, you can visit Hida Crafts Museum (Hida no Takumi Bunkakan) for some insights on “how to build a good wooden house” and experience how no-nails-building can be formed by fitting these posts and beams of miniature wood frame puzzles together The museum itself, it built without using even a nail. #ClapHands to experience. 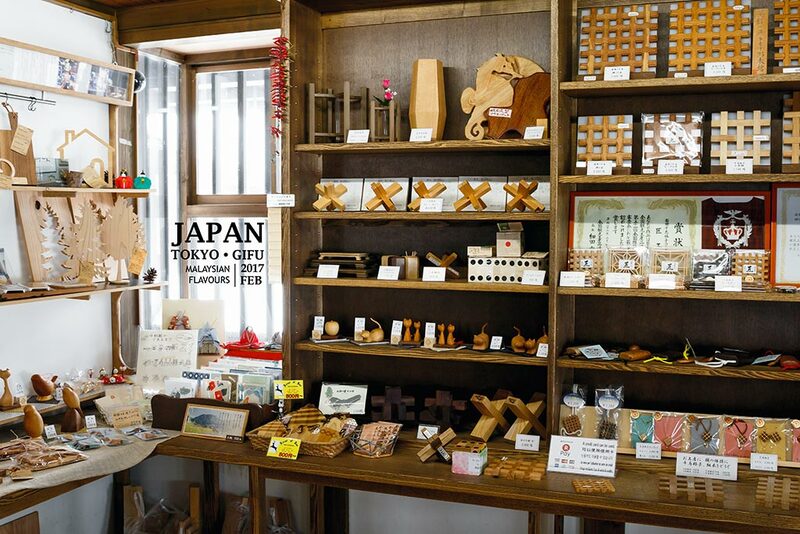 While wood crafts can easily represent Hida-Furukawa, Mishima Japanese Candle Shop is equally worthwhile too when comes to high skill handmade products. The shop, which started their business more than 200 years ago, is now on their 7th generations. They are now less than 10 shops in Japan that make their candles by hand, and Mishimi Japanese Candle shop is one of them. 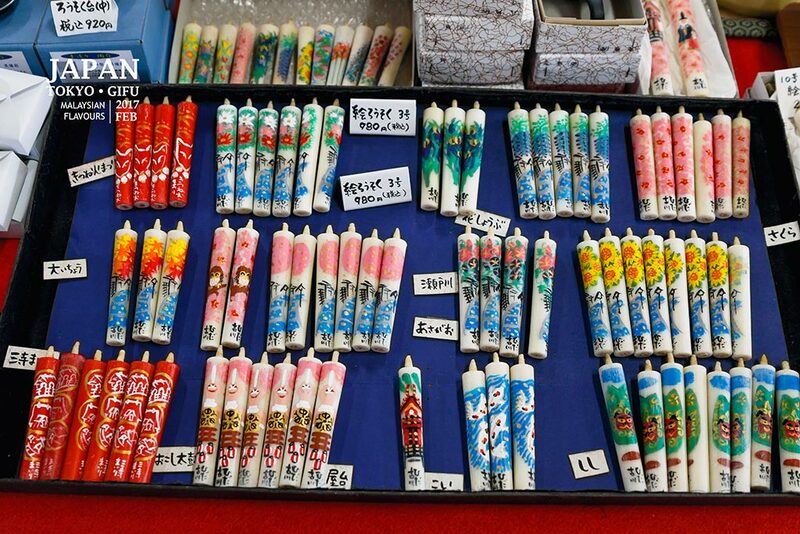 It was closed on the day we visit, but these are some beautiful candles we saw in Sakura Gift Shop. Equally impressive. 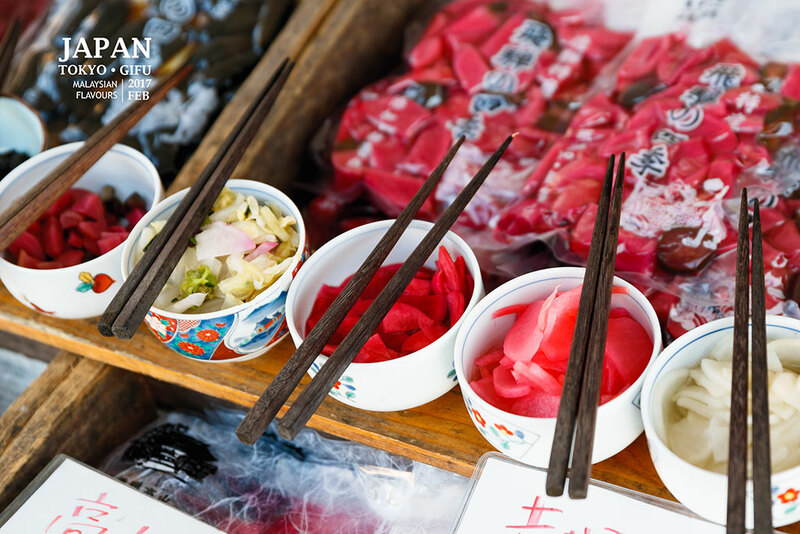 Hida-Furukawa Festival Museum or Hida Furukawa Matsuri Kaikan, is a must-visit attraction that showcases everything you need to know about Hida-Furukawa Festival, the most happening festival in Hida-Furukawa. Displayed of real floats, gallery of Okoshi Daiko, Tsuke Daiko performance and more. 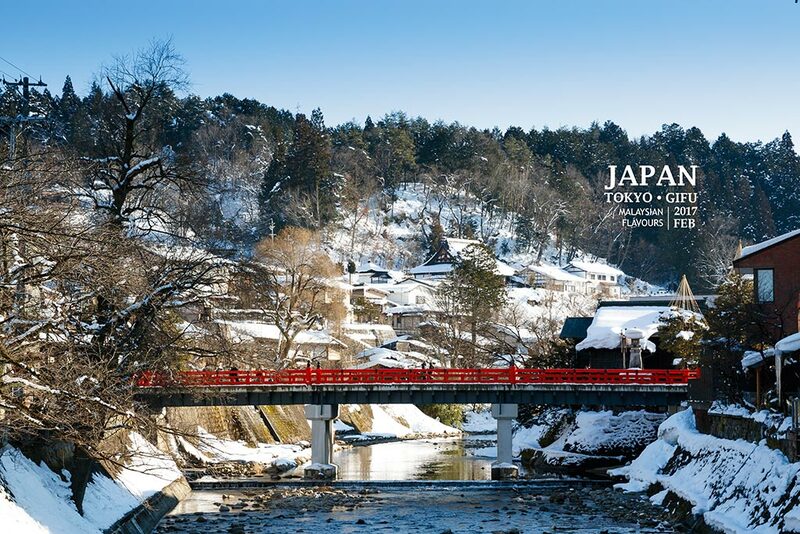 Love this Imamiya Bridge, because its bold red colour matched really well into the snow-covered town with bald trees. So serene. We could stand and dream here all day long if the weather wasn’t too cold. We took about 3hours to tour around and by 6PM, we gave up exploring further as the weather was unbearably cold. It snowed like it was raining. We called the day off with simple dinner at Mirai Izakaya just next to hotel. Ordered teppanyaki beef set, taste just OK and the beef seemed a bit overcooked. Woke up to a -5 degree celcius snowy morning. Dry lips, red face, freezing. 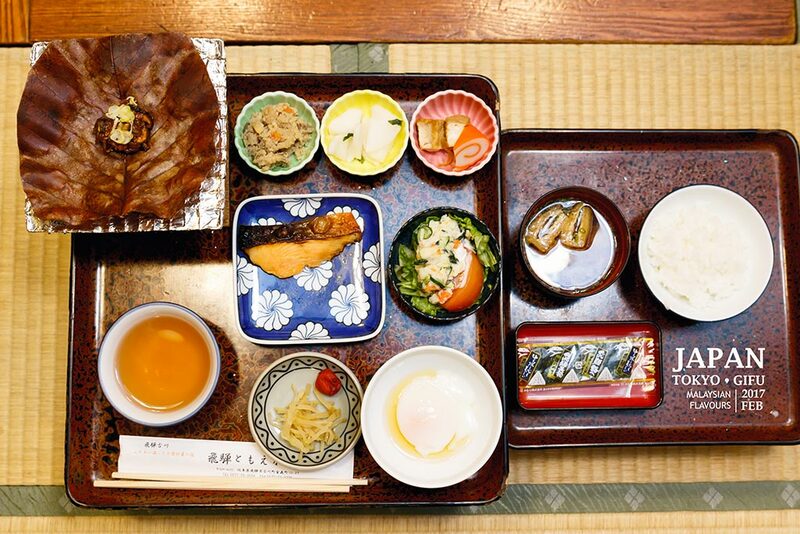 Glad to have pretty good Japanese traditional breakfast to warm up the whole body. 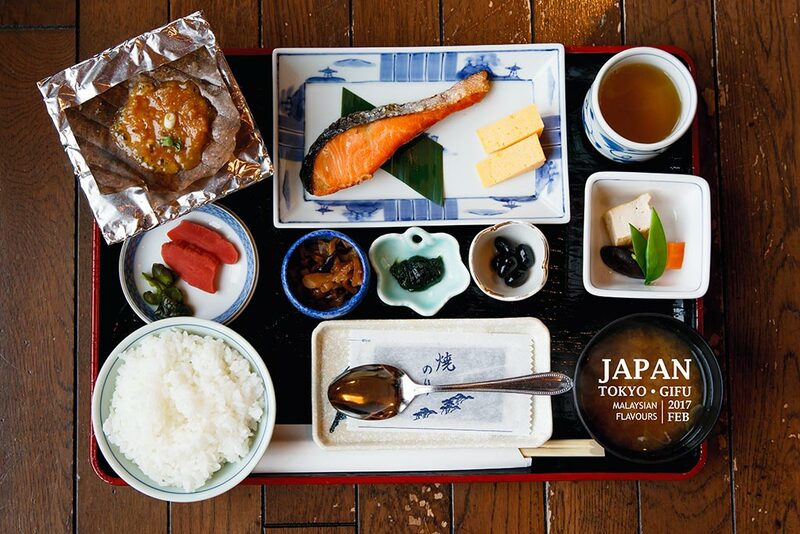 Rice, salmon, onsen egg, soup, vegetables and pickles – nutrition packed meal wey. We spent another half day in Hida-Furukawa, exploring the real locations appeared in Japanese anime movie Kimi no Na wa 君の名は. 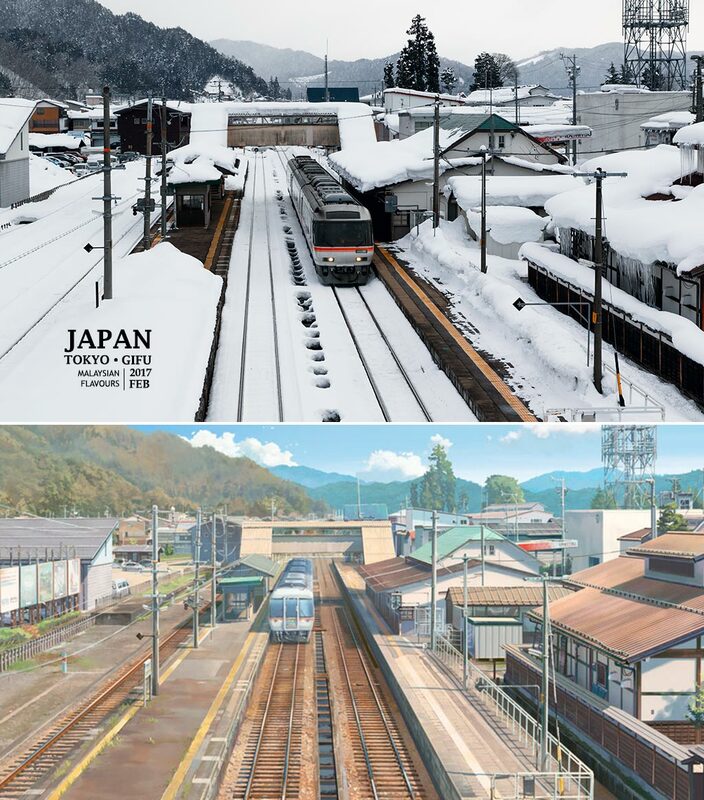 In Your Name, the Itomori town that Mitsuha Miyamizu lives in, doesn’t exist in real life. 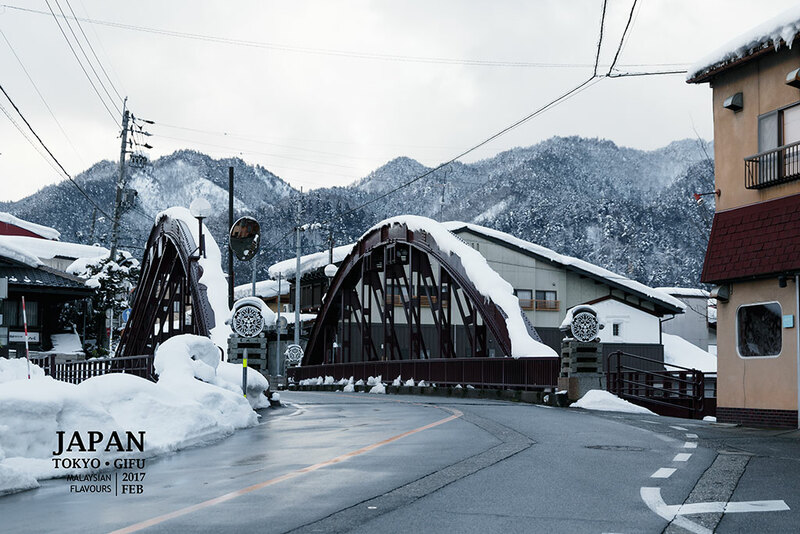 But many of the background scenes appeared in the film are inspired from Hida city. This somehow explains why a quiet town has suddenly invaded by so many anime fans. 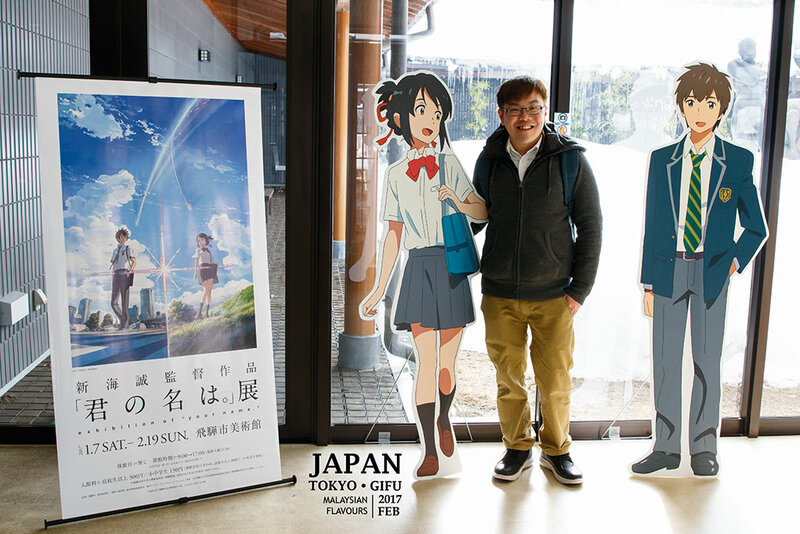 As this movie becomes popular across the world, a dedicated “Your Name Movie Exhibition” is held right in Hida-Furukawa, at Hida City Museum of Art. 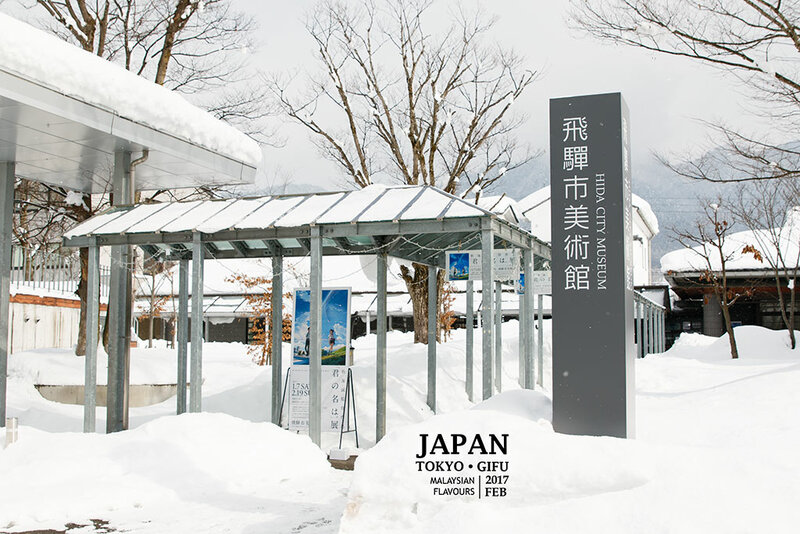 It runs only from 7th Jan to 19th Febt, so we were lucky to be in Hida-Furukawa just in time to walk through this special gallery, getting to see some “behind the scenes” such as detailed illustration of characters, storyboards drawn, etc. 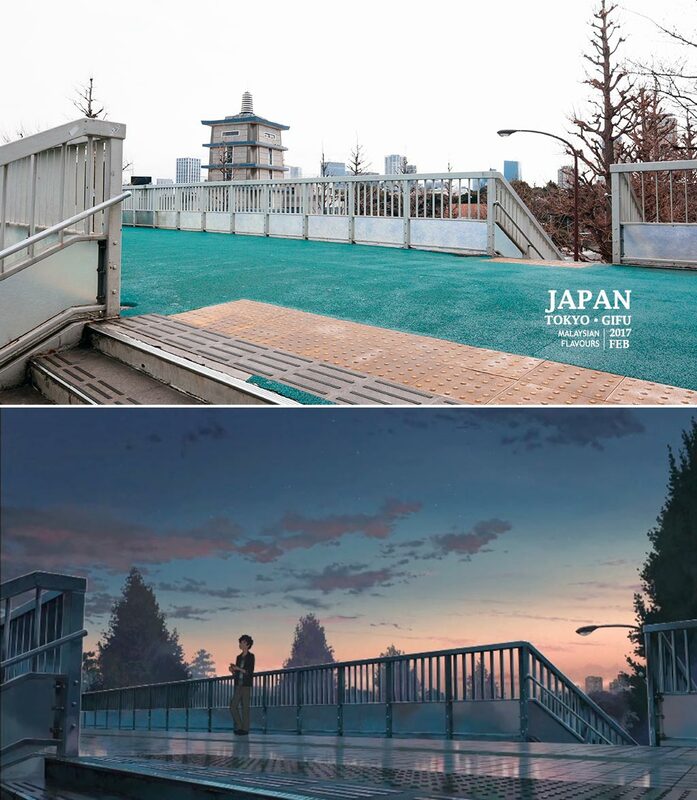 Next, we visited 5 real locations appears in Kimi no Na wa movie – Hida City Library, Bus Stop, Hida-Furukawa Station , Hida-Furukawa Taxi Stop and Keta Wakamiya Shrine, together with braid experience. Tight schedule so we had to skip certain key places such as the paddy fields Mitsuha Miyamizu pass through on her way to school. If you came during Summer time, do make your way there with a bicycle tour and enjoy the lush greenery! The station that Taki and his friends got down when they came to seek for Mitsuha in Itomari from Tokyo. Best spot to get the train arriving photo? The city government has pinned it for you. 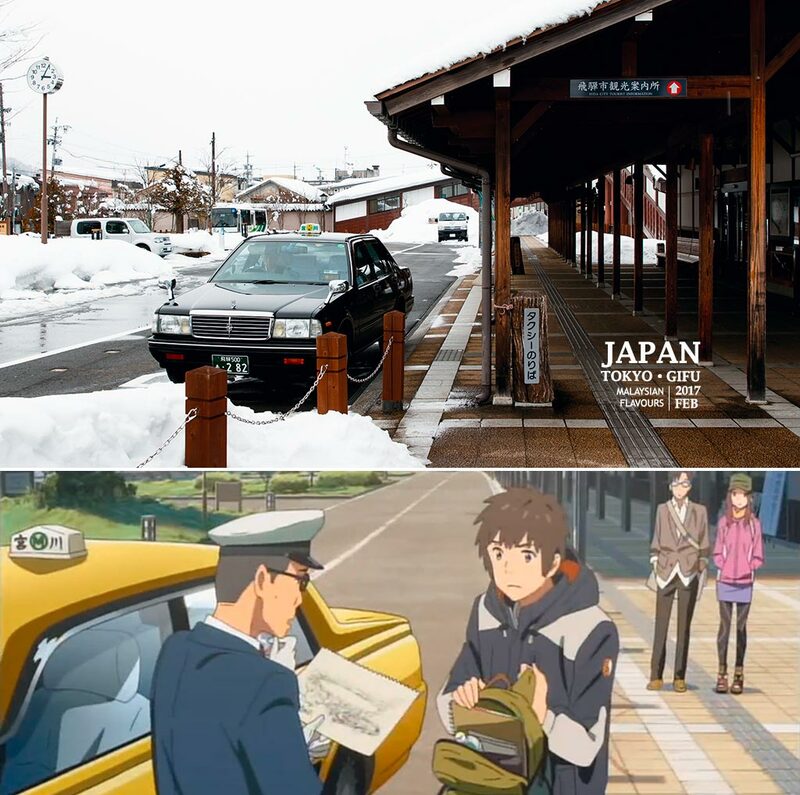 The bus rotary in front of the station provided the setting for the scene where Taki asks the taxi driver for information about Itomori. Remember this? Miki Okudera and Tsukasa Fujii was so excited seeing this Hidakuro in the station. 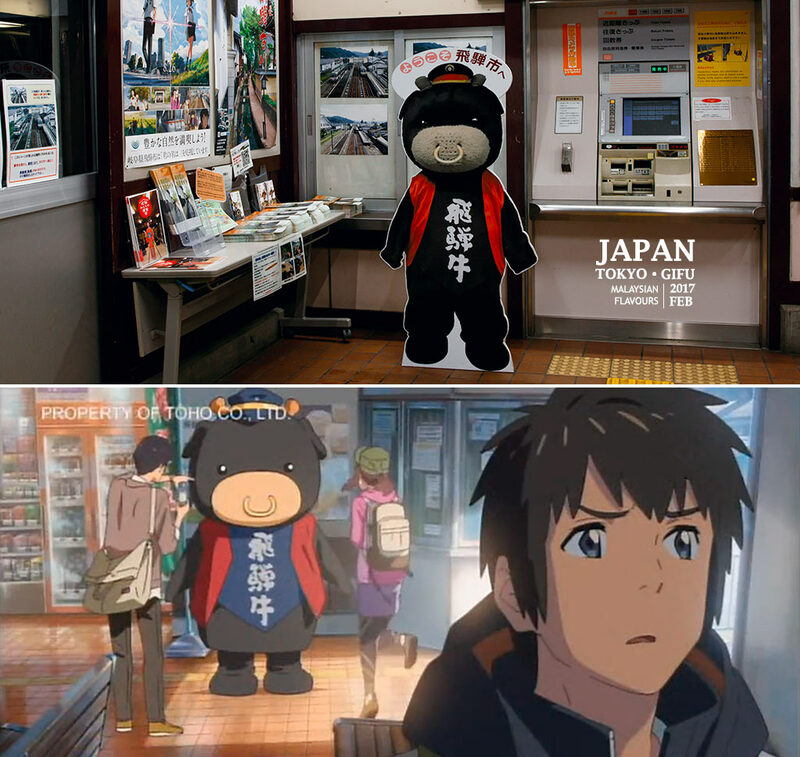 It was a mascot by real human inside Kimi no Na wa movie but it turned out to be a cardboard in reality. Haha, doesn’t matter, still cute. When Taki learnt from the ramen shop owner that Itomori town was destroyed by comet 3 years back, he went to Hida City Library to look for more information about the incident, and traced down if Mitsuha was on the victims list. 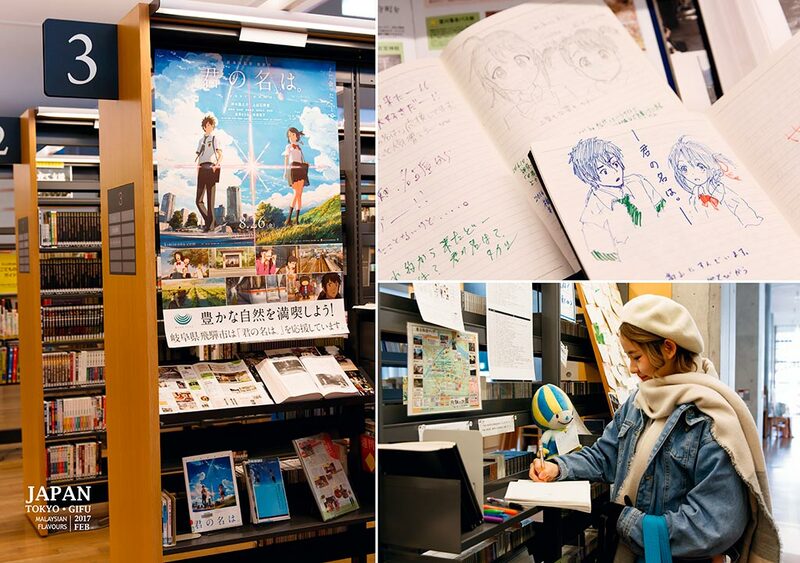 The library has designed a special area for movie Your Name. Visitors can take photos around but no flash, and need to register at the counter for approval. Lower down your voice, afterall it is a library. 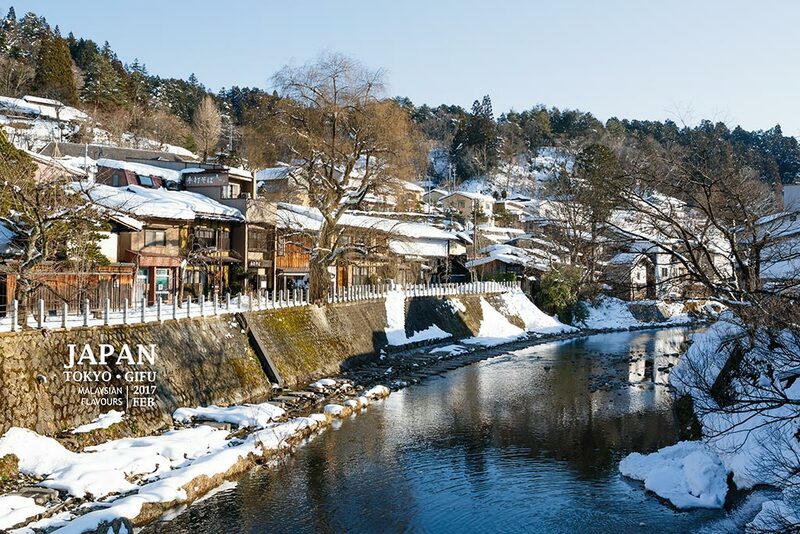 Hida, Gifu Prefecture 509-4232, Japan. Taki and his friends resting in this bus stop, because they were so tired in locating Itomori town. So impressed to see the real place looked exactly the same as in the movie. It is a bit far though, need about 10 minutes drive from Hida-Furukawa station. Nearer to Tsunogawa station with 10 minutes walk. 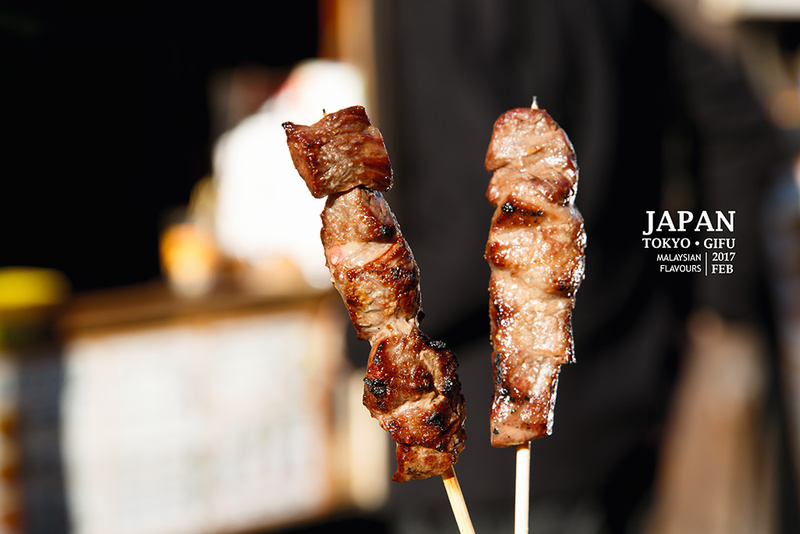 Appeared in the scene where Taki ask few of the locals on where is the exact location of Itomori town. 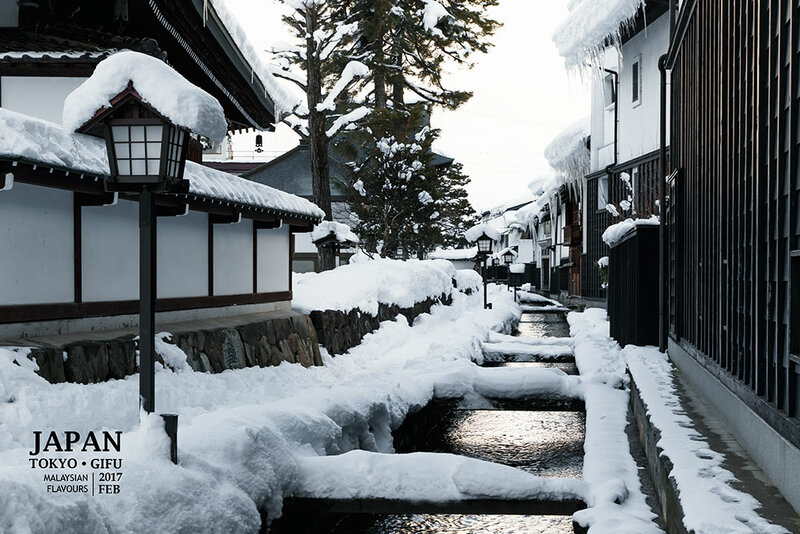 Hida, Gifu Prefecture 509-4212, Japan. Last stop, at Hida Sakura Gift Shop. In the movie Kimi no Na wa, Mitsuha is good at braiding under the taught of her grandmother. 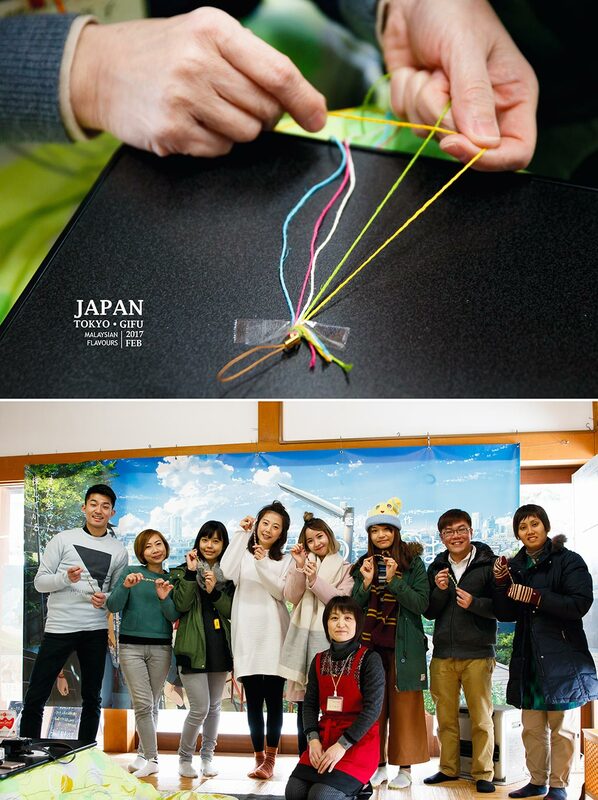 We had hands-on experience on “converse, take shape, twist & tangle” at Hida Sakura Gift Shop. 500yen class session and here’s the lucky charm that I made!! 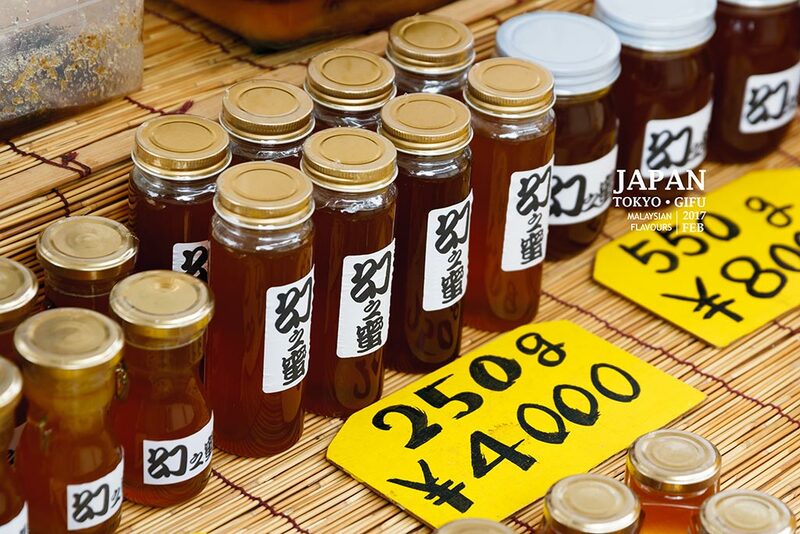 Kuchikamizake 口噛み酒, performed by Mitsuha during a traditional ritual, can be bought in Hida-Furukawa too! It is actually one of the earliest sake types, made by first chewing the rice, spilt it out into a container, keep and let it ferment. But of course, this sake you see in real life is not made from chewed rice due to hygiene reason. 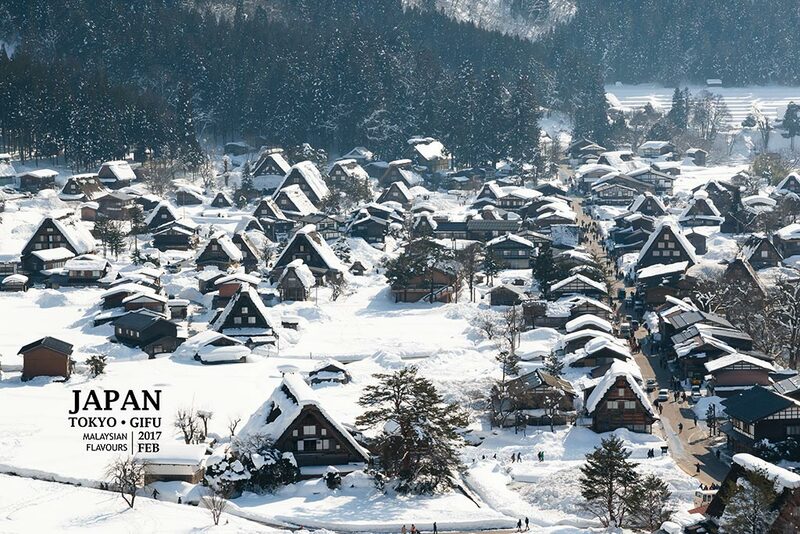 Hida, Gifu Prefecture 509-4234, Japan. Ending our 2D1N in Hida-Furukawa. To be honest, we first thought that we will not like this place but to our surprise, this is the town we like most in this trip. Very zen and comfortable. Now we understand why there’s a saying that “Come to Furukawa when you are exhausted in your busy life”. 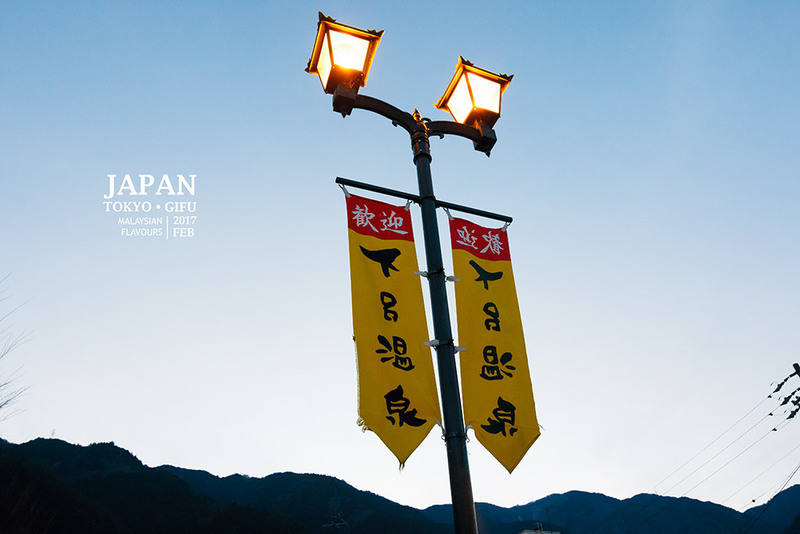 Next, moving to Takayama, a more touristy spot in Gifu prefecture. 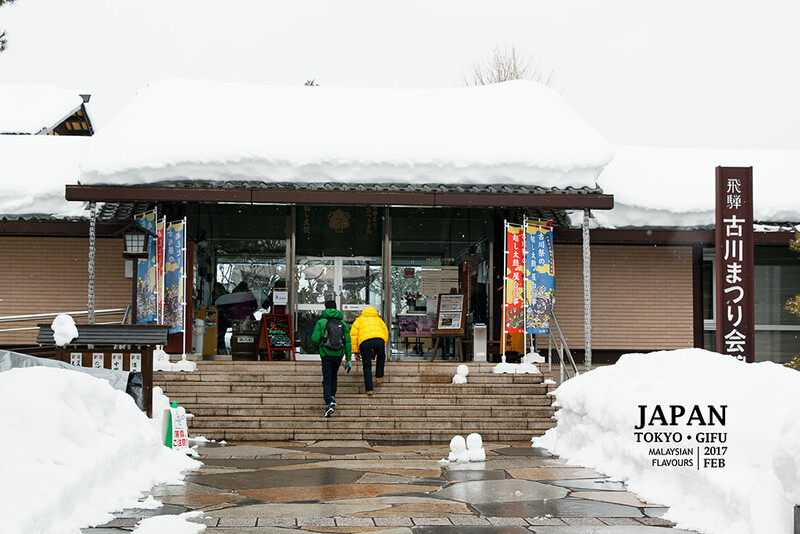 It is easy to reach Takayama from Hida-Furukawa, as the town is just 15KM from Hida-Furukawa. 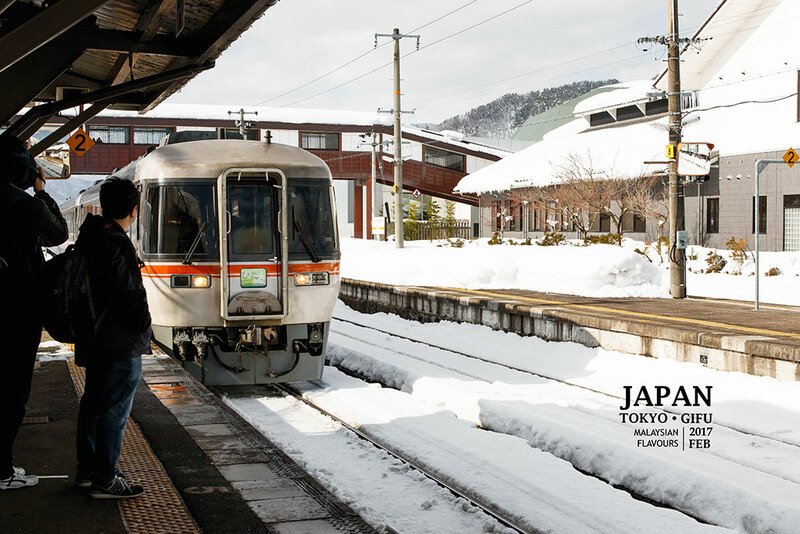 Just hop on JR train at Hida-Furukawa Station and align at JR Takayama Station. Reached Takayama JR Station in 20minutes, so fast! Took walking map from tourist information centre and checked in to Washington Plaza Hotel. Washington Plaza Hotel serves as a pretty decent hotel for short stay, completes with all basic amenities like high-speed internet, hair dryer, LCD TV, hair dryer, comfortable bed and so forth. 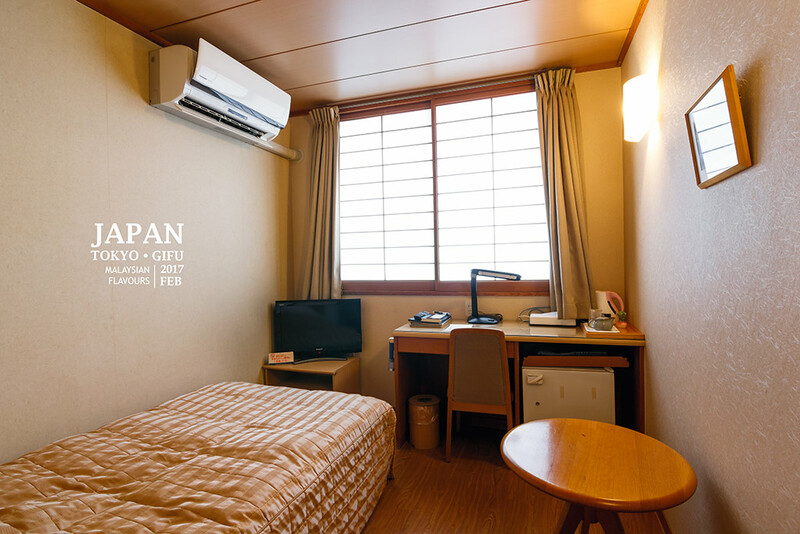 Room size isn’t big, but scores on its strategic location – just right across Takayama station, surrounded by restaurants, cafes and convenient store. 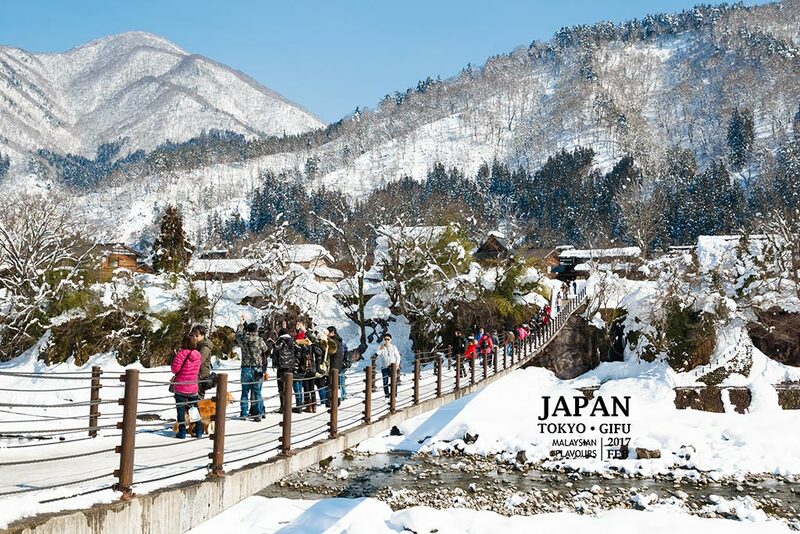 Also near to Nohi Bus Terminal, easy for us to visit Shirakawa-go the next day. Time to explore Takayama! 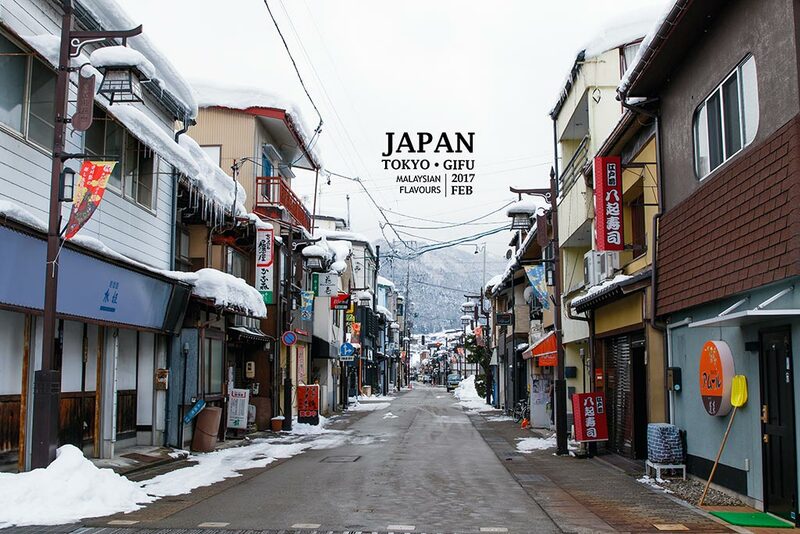 Takayama is more modern compared to Hida-Furukawa, like a small city but blended with the charm of traditional Japanese old-houses. 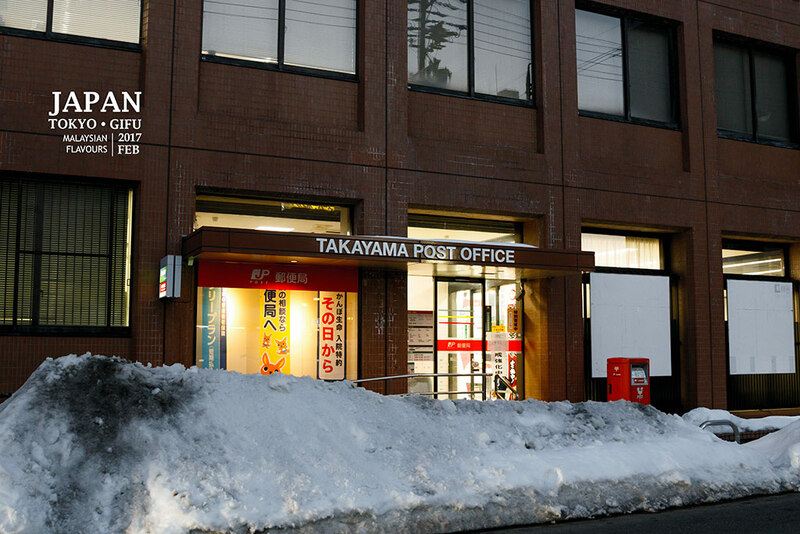 First stop, Takayama Post Office. Why post office? Because somebody wanted to add new collection. Tadaa! 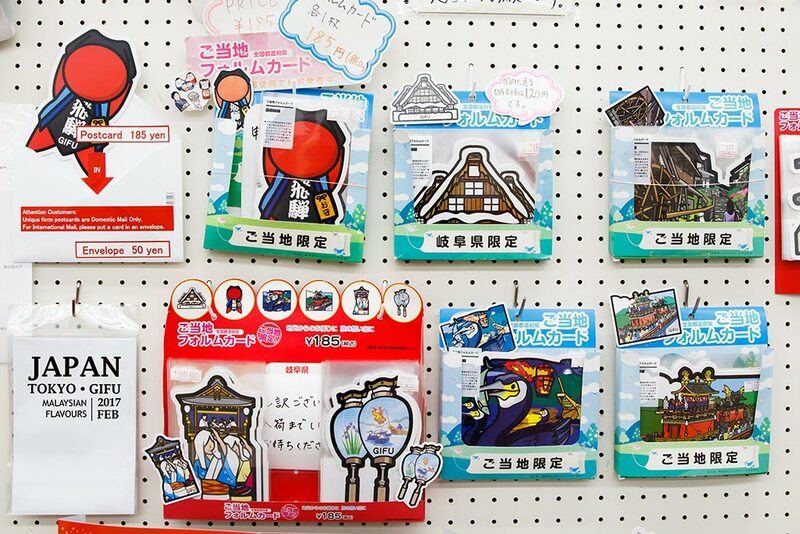 Post cards with iconic landmarks of Gifu, drawn in cartoon-style, available only in Gifu region! From post office, just walked straight. Hidakokubun-ji Temple came in sight within minutes. 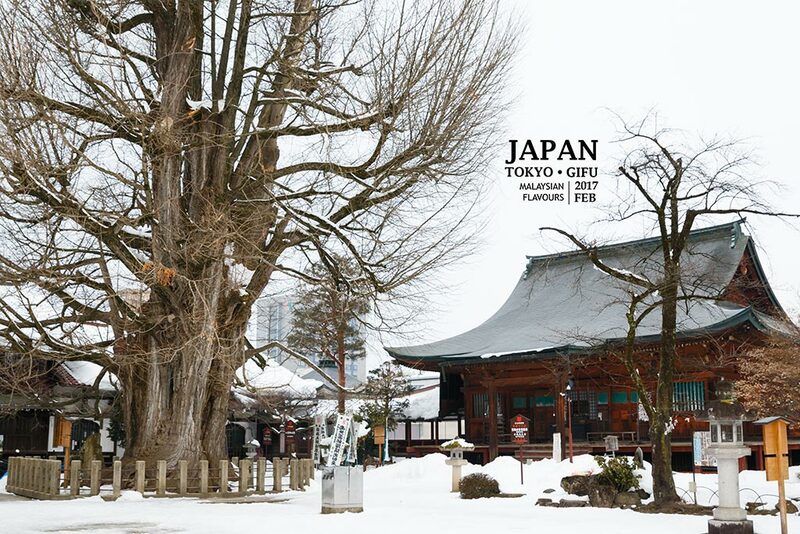 It is one of the oldest pagoda in Gifu prefecture, with three-tiers pagoda and 1200 years old ginko tree. 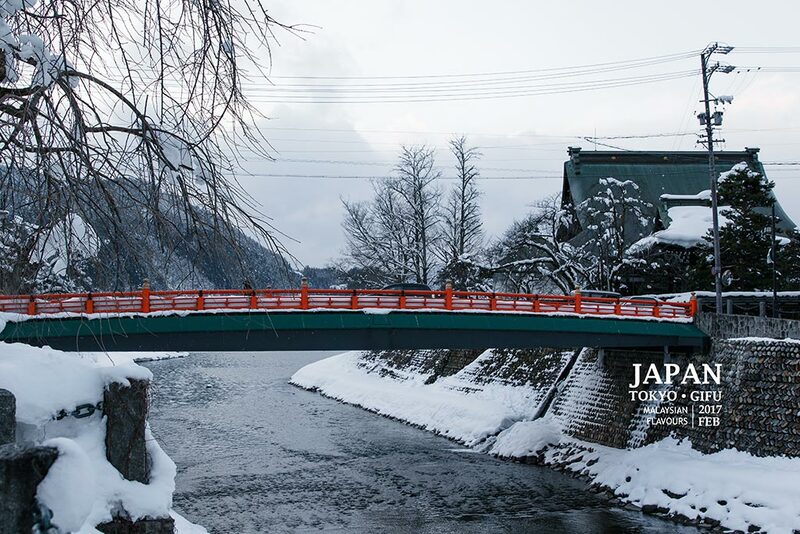 We then walked towards Miyagawa River to reach Sanmachi Suji, the most picturesque district in Takayama. 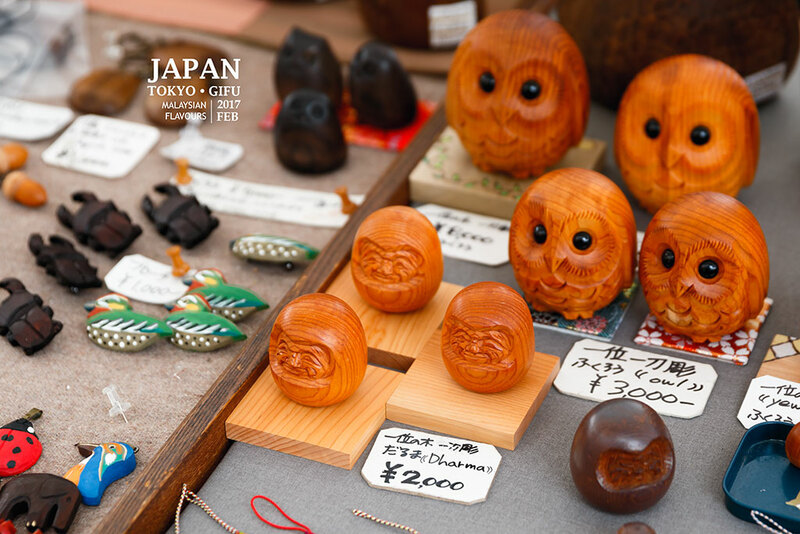 Kamisannomachi, Kamininomachi, Kamiichinomachi, Kataharamachi and 4 Shinmeimachi – these streets are beautifully lined up with centuries old traditional Japanese houses at both sides, some well-preserved since Edo period. 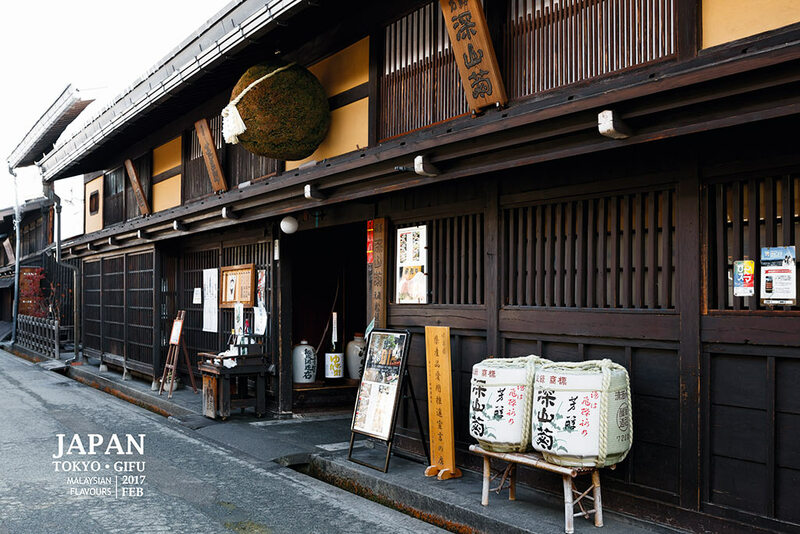 Along with many historical temples and shrines, Sanmachi Suji holds the aura of Kyoto Old Town, slowing gaining fame with a title “Little Kyoto in Japan”. 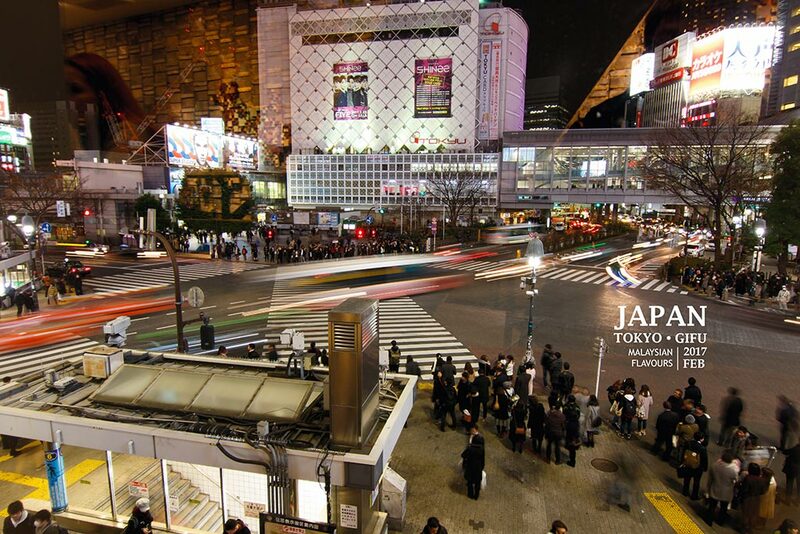 Sake breweries, souvenir shops, cafes, restaurants are plenty here, so you get to shop, eat, take pictures around. Came across this shop with long queue in Takayama Old Town, selling Hida beef sushi. Straight away went into the queue and bought a set of 3 (Ginger Soy sauce, Salt, gunkan). 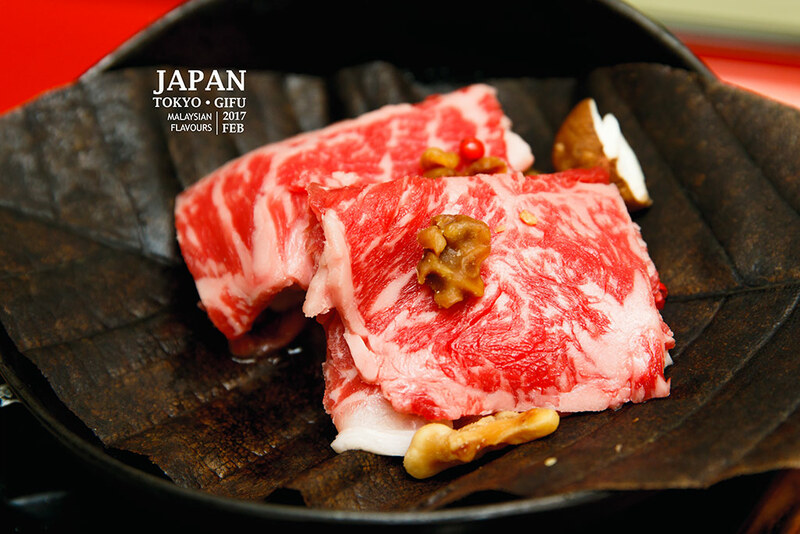 Beef slices with good marbling is so delicious! 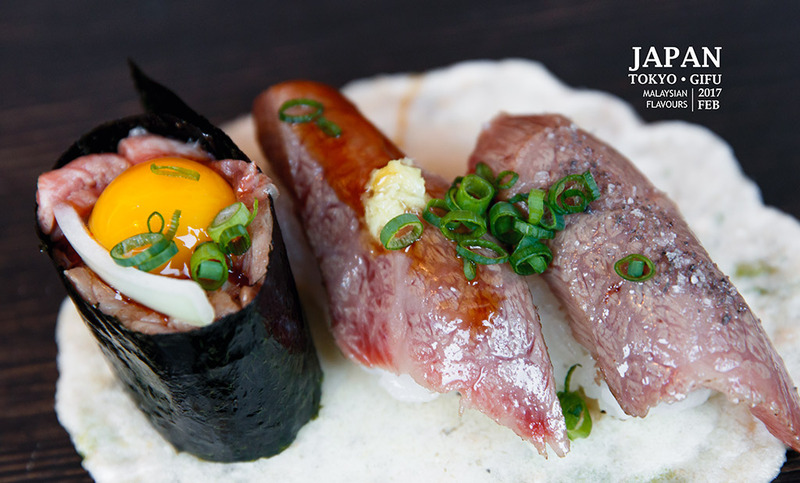 We enjoyed the sushi topped raw egg the most. 900yen for such a tiny portion, but is OK! 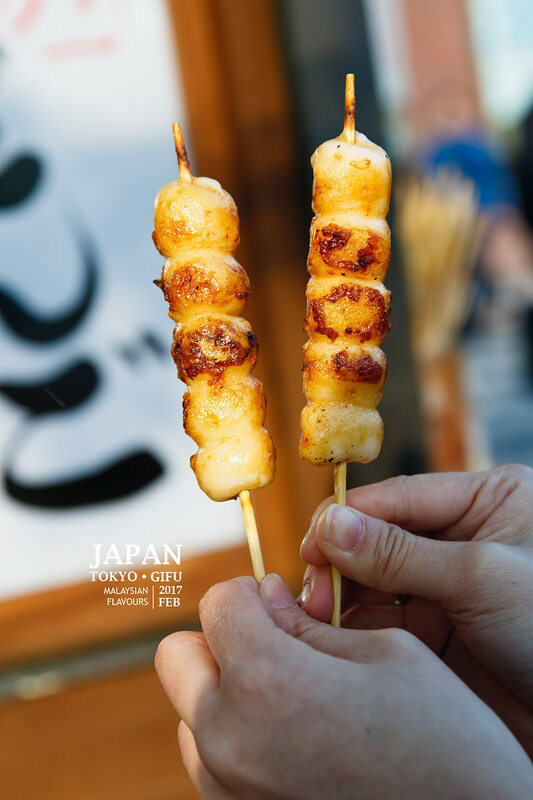 Other local snacks you should also try in Takayama – Mitarashi dango, a type of savoury sweet rice dumplings like our “Tang Yuan” but so much better; goheimochi, a type of grilled smashed rice skewers, the food that Taki and his friends had in the movie Your Name. But they had it in front of the shop 味処古川 in Hida-Furukawa, not Hida Takayama. LOL. 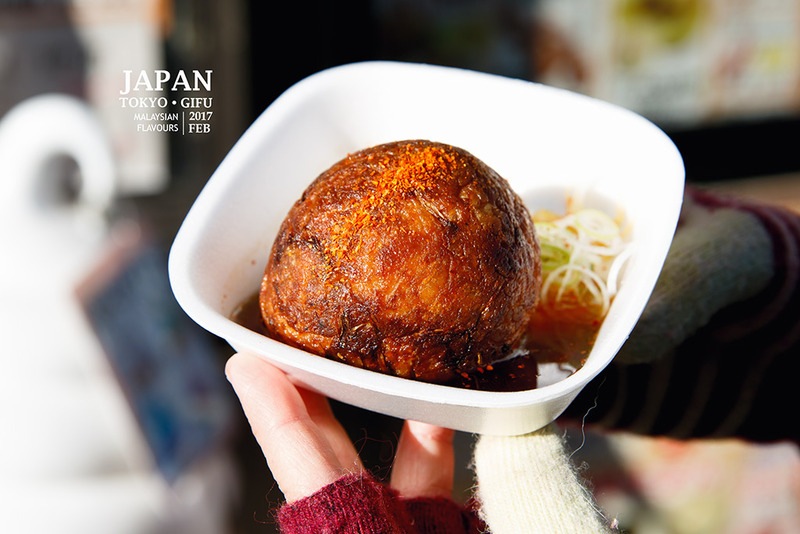 In Takayama, we suggest to drop by Machiya Cafe by Fukutarou, they have really nice Mitarashi Dango, great with tea. Time passed so fast. It began turning way too cold in the evening, just not snowing. Prefered something hot so we visited Kikyouya 桔梗屋 for Takayama Ramen! The restaurant has English menu so we felt quite relieve. Haha. 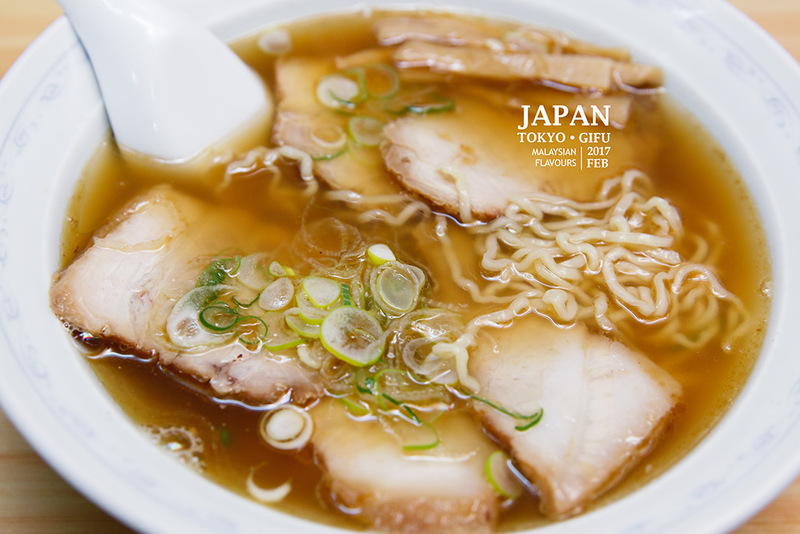 Our ramen was shoyu soup. Light base compared to our favourite Tonkotsu ramen, immersed with chewy thin ramen noodles, topped with egg and chasiu slices. Had lovely Japanese traditional breakfast in hotel and walked in -5 degress celcius weather to Miyagawa Morning Market, an opened-air Asaichi located along the riverbanks of Miyagawa River. 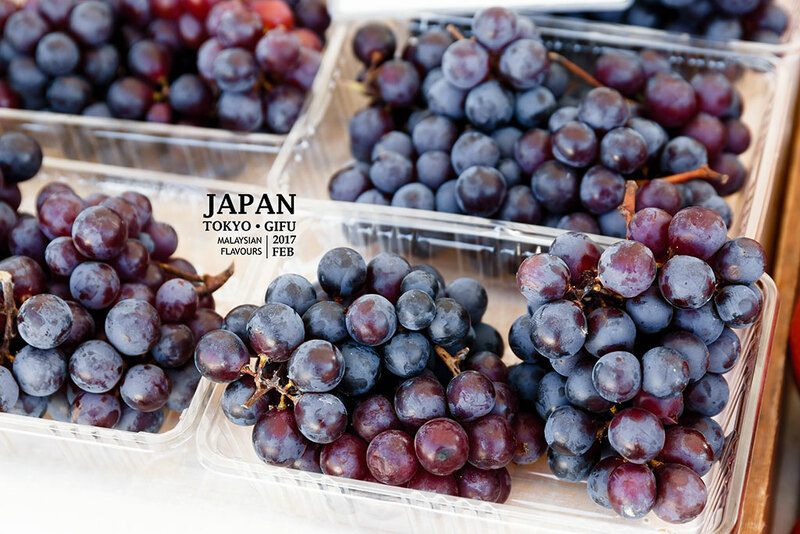 From what we read from blogs online, most of them mentioned that there are about 50 stalls in the market. Sadly, when we reached, there was just handful of them, roughly 10 stalls. Too freezing to come out for business, or we were too early? Even the the giant dice-shape Tamago sweet snack we were so eager to try out was closed. Nakabashi Bridge. Its bright red colour blends really well with background leafless trees, as well as timeless buildings thinly covered with snow in winter. 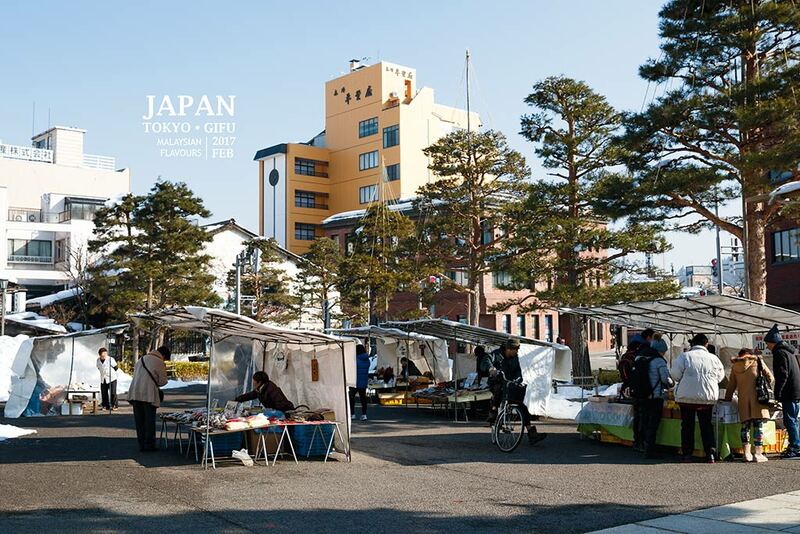 Feeling disappointed, we continued to Jinya Mae Morning Market, which said to be smaller compared to Miyagawa but is one of the top open-air morning markets in Japan. 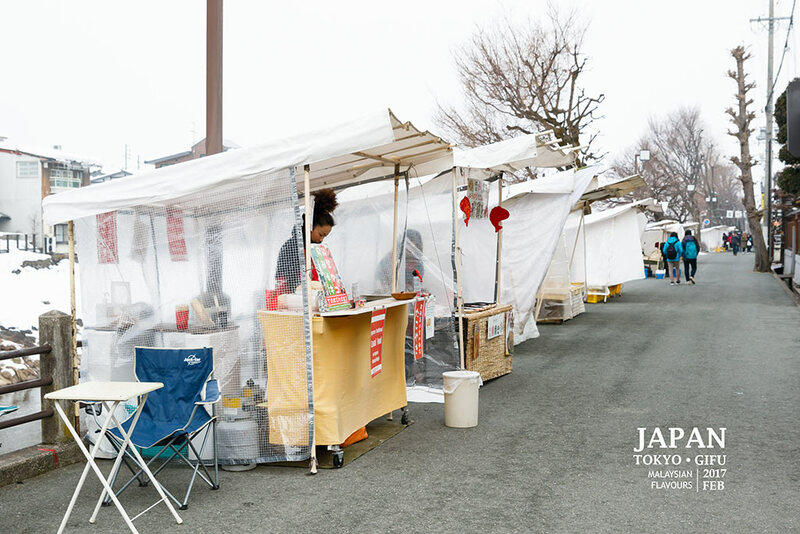 Surprisingly during that morning, Jinya Mae Asaichi had more stalls coming out for business. 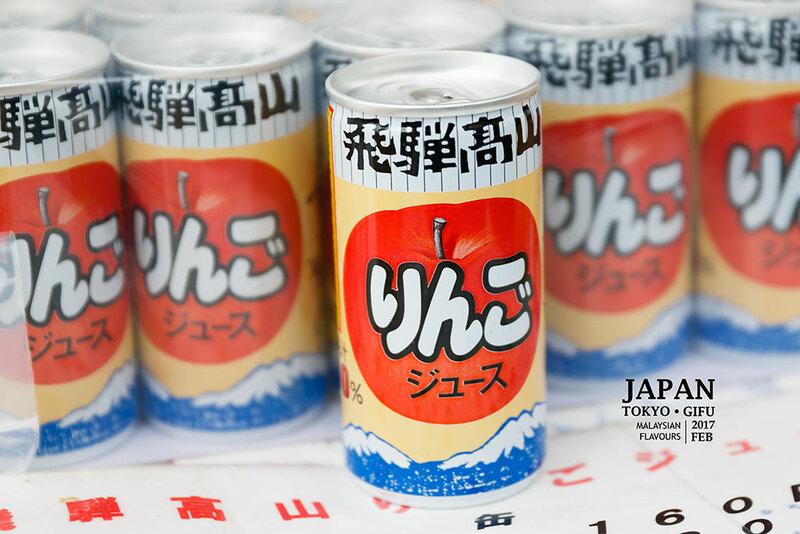 Hida Takayama Apple Drink. Cute packaging. Actually what makes Jinya Mae Morning Market different from some other market was, most fresh produce sold are from their own farm, or maybe house backyard. 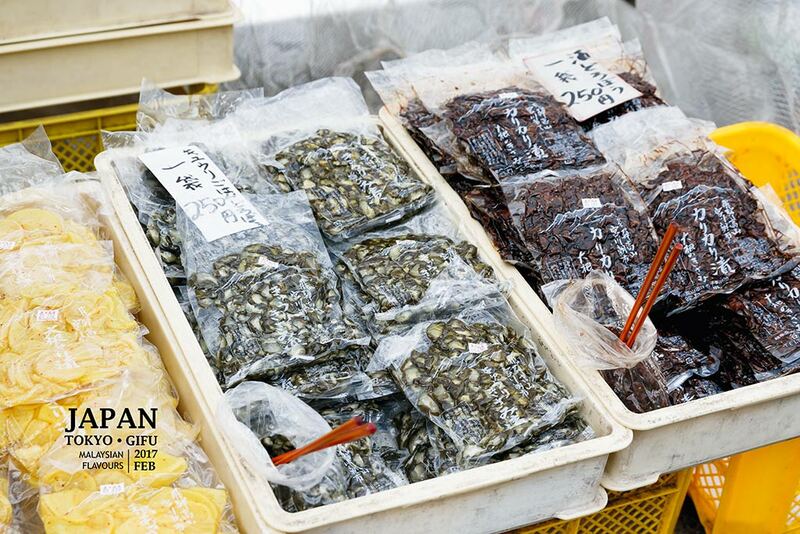 They sell what they plant, some sell homemade Japanese pickles. 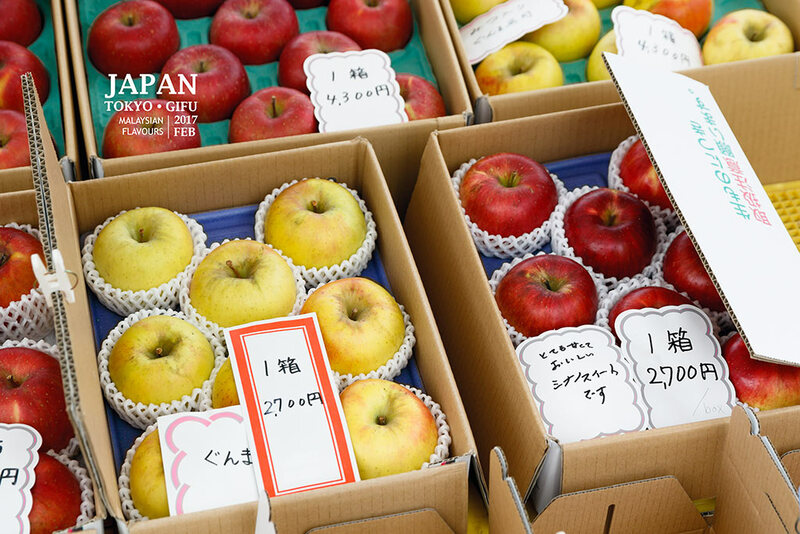 Try to buy a packet of apple, you’ll find it so crunchy, fresh, and juicy! Visited Takayama Jinya, a local governer office during Edo period. It is the only one Jinya left today, and now opened for public visit. 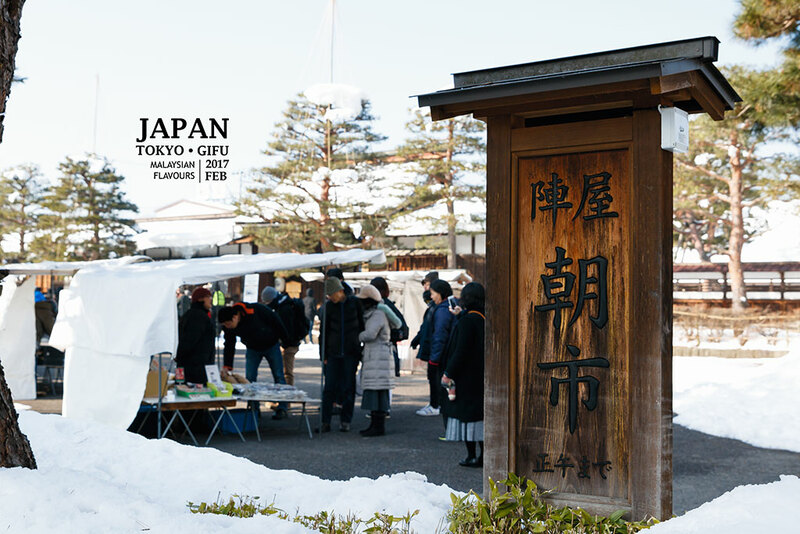 You can buy a ticket at 420yen to tour the place, checking out the tea preparation room, kitchen, hall, rice storehouse that was once used back in those days. 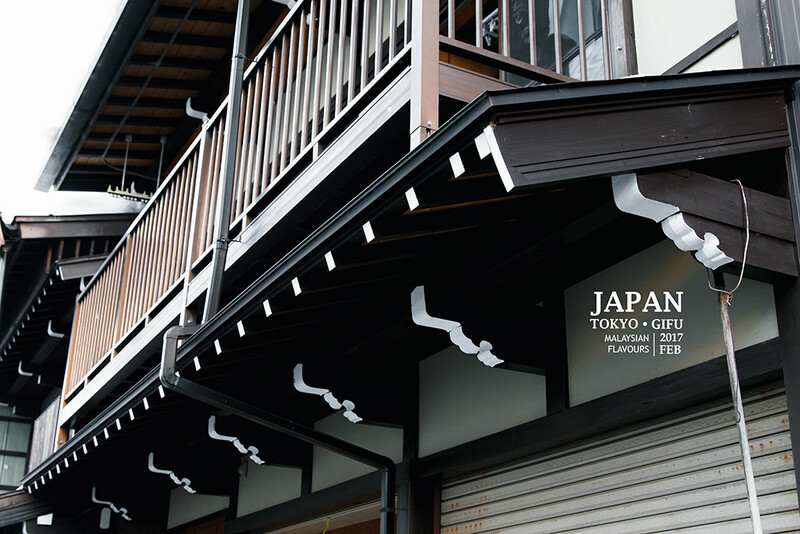 Address 1-5 Hachiken-machi, Takayama city, Gifu. Left for Shirakawa-go by bus around 11AM. 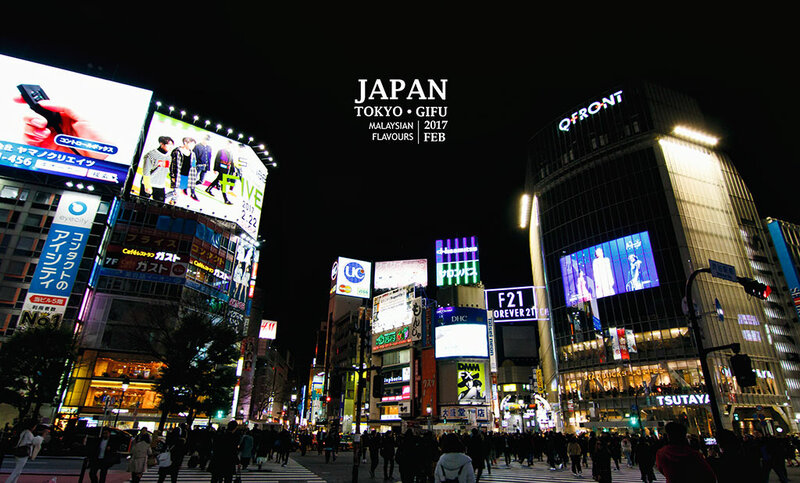 So anticipated because this is one of our dream places in Japan! Couldn’t wait to see it in person. Jeng jeng jeng! So pretty! Felt so grateful as it wasn’t snowing heavily. A little of blue sky to colour up the entire dreamy white scene. 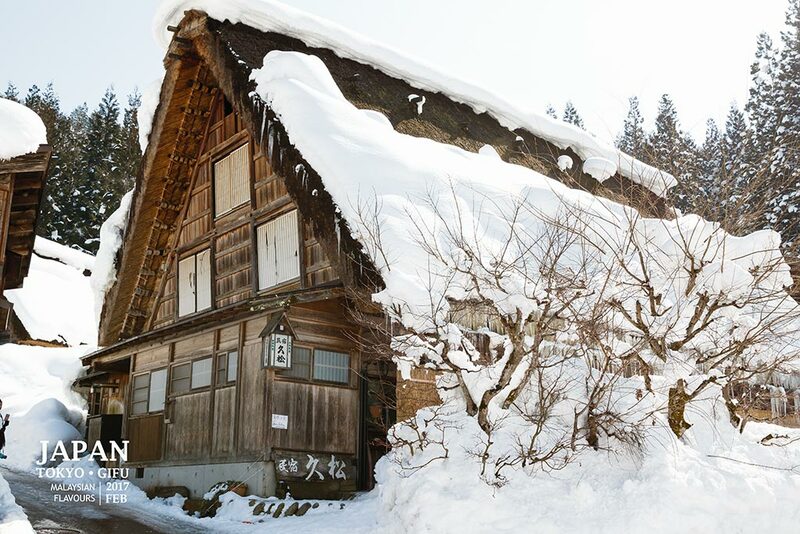 Shirakawa-go is famous for their traditional gassho-zukuri farmhouses (合掌造り), some of which are more than 250 years old. 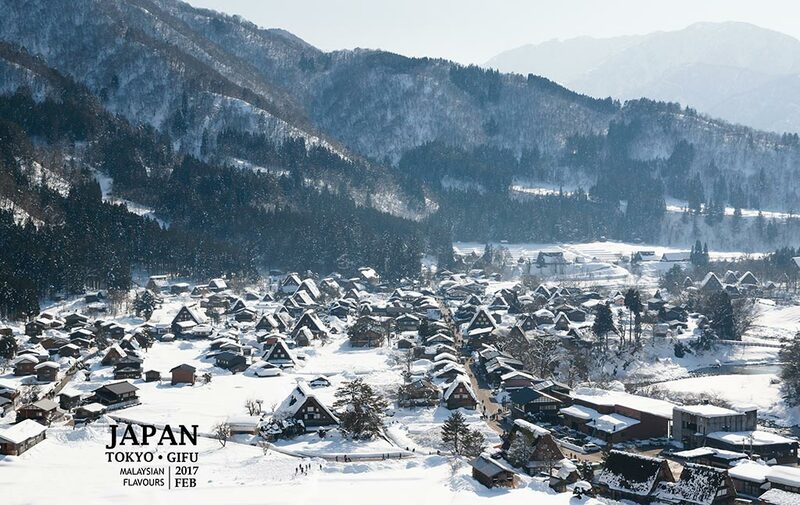 Ogimachi 荻町, the main village in Shirakawa-go is recognized as UNESCO World Heritage Site in 1995 together with Ainokura 相倉 and Suganuma 菅沼 in Gokayama, Toyama prefecture. 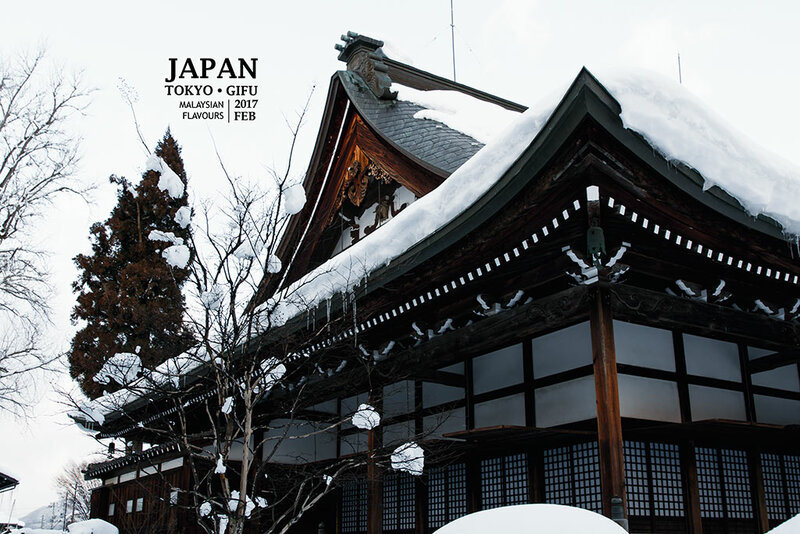 It is one of the few tourist attractions in Central of Japan that snows heavily during wintertime. The snow can accumulate up to 2 metres. This is also the reason why houses here are built with steep rooftop. It is meant to avoid the roof from gathering too much weigh of snow. 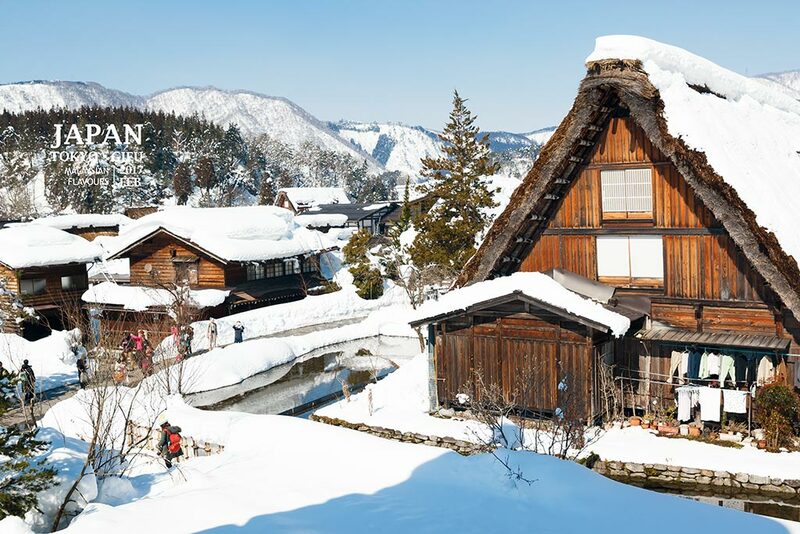 Shirakawa-go has about 110 gassho-zukuri houses. Some of them are still home to locals, some of them are modified into restaurants, hotels, museum and cafes. 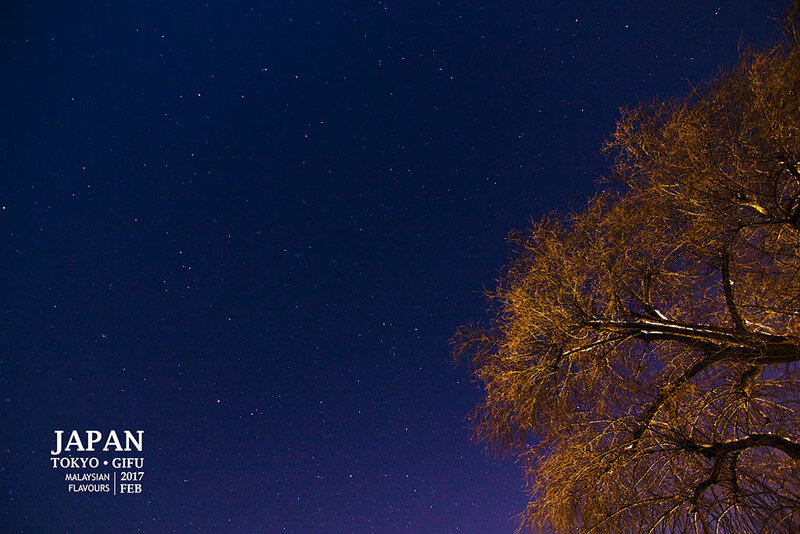 It is worth to stay here one night during winter to enjoy “Shirakawa-go Winter Light Up” at night. 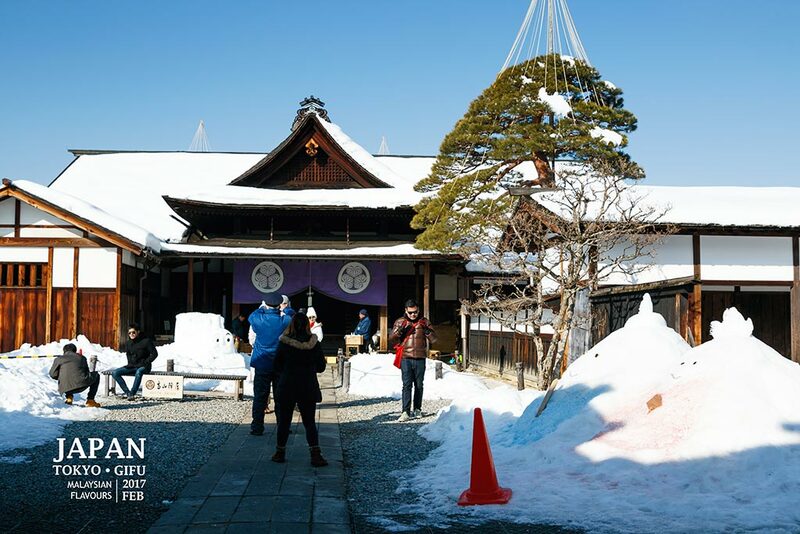 Wada House, Kanda House, Myozenj Museum, Myozenji Temple, Doburoku Festival Museum, The Heritage Museum, and more before going up to Shirakawa-go Observatory, the best spot to view the whole village from top. If you were too tired to walk up, there’s a shuttle bus to bring you there. Spend about 3 hours here, which was definitely not enough. We wished we could stroll around longer but we have to go straight to Gero before night time. Gero 下呂 was our last destination in Gifu Prefecture. 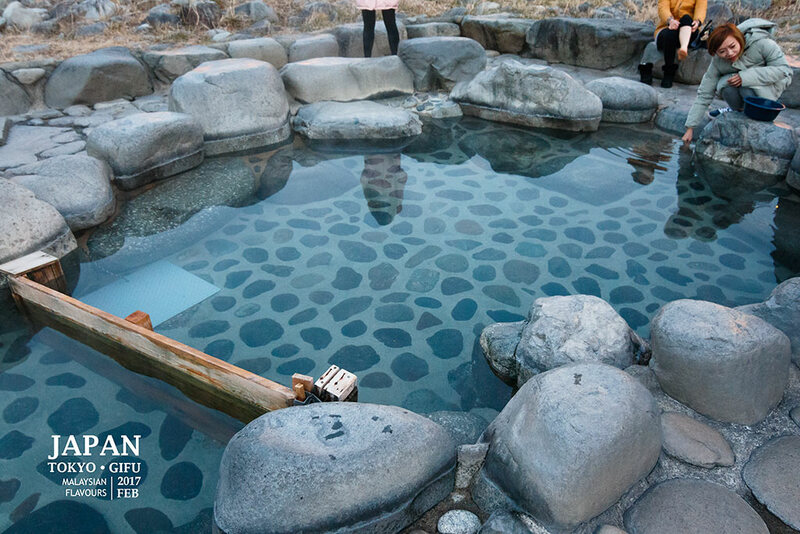 Gero Hot Spring is the TOP 3 best hot springs in Japan, along with Arima and Kusatsu Hot Springs. 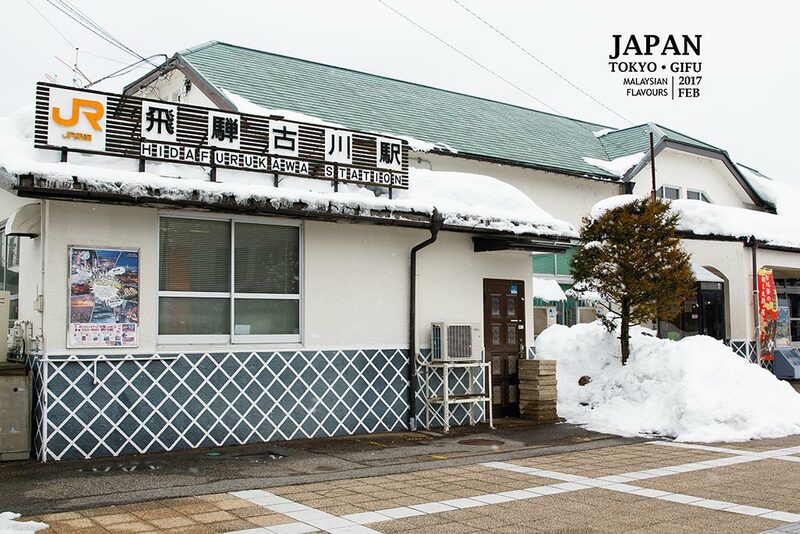 The town, which has 1000 years of history, is blessed with high quality natural hot spring water. 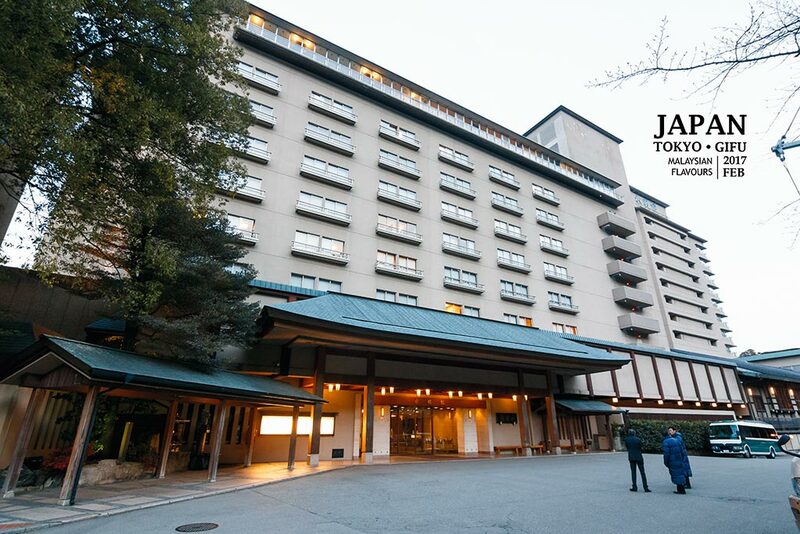 We overnight in one of the Japanese style onsen hotels, named Sumeikan, It is a Japanese-style accomodation situated next to Hida River, less than 5-minutes walking distance from Gero JR Train Station. Staying a night here wasn’t cheap but we definitely worth it, as their service, food, and room are top notch. Had a memorable Japanese course meal at the hotel’s in house restaurant, Kita No Ryo. 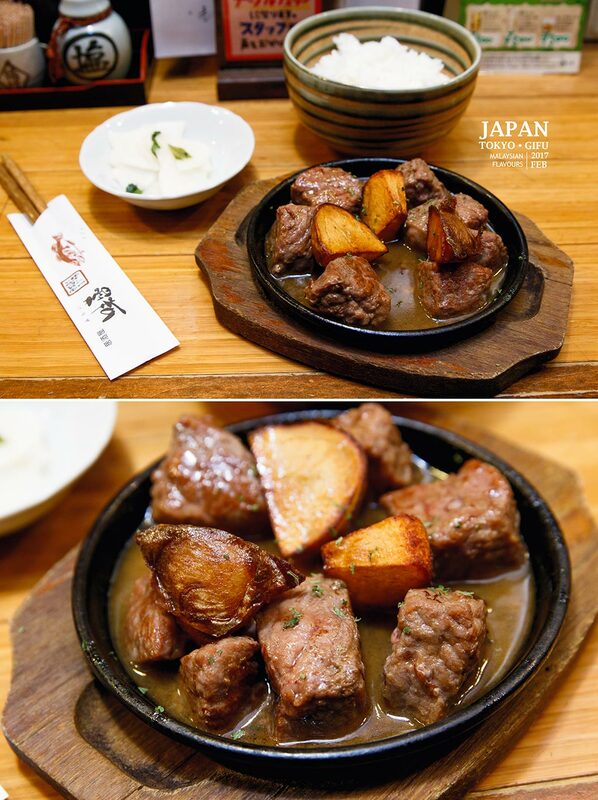 The Hida beef was amazing! 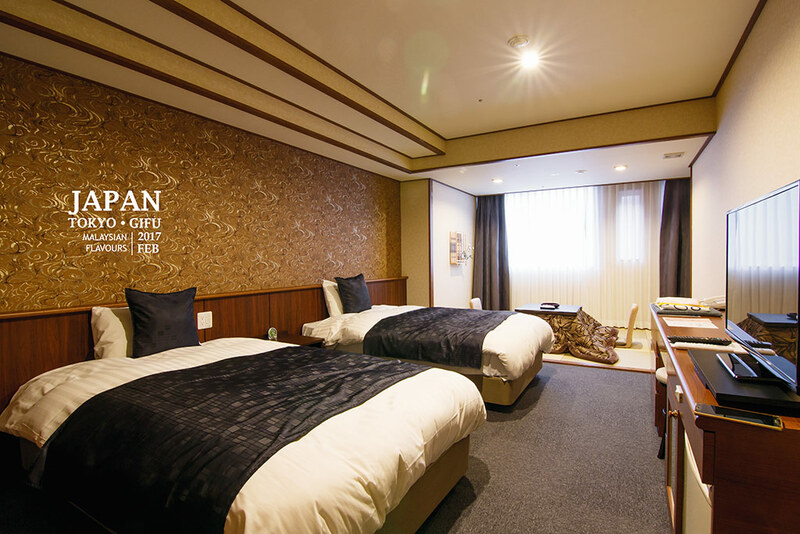 Suimeikan makes you feel like home with more than just beautiful room ensuites with hot spring bathtub and warmth hospitality. 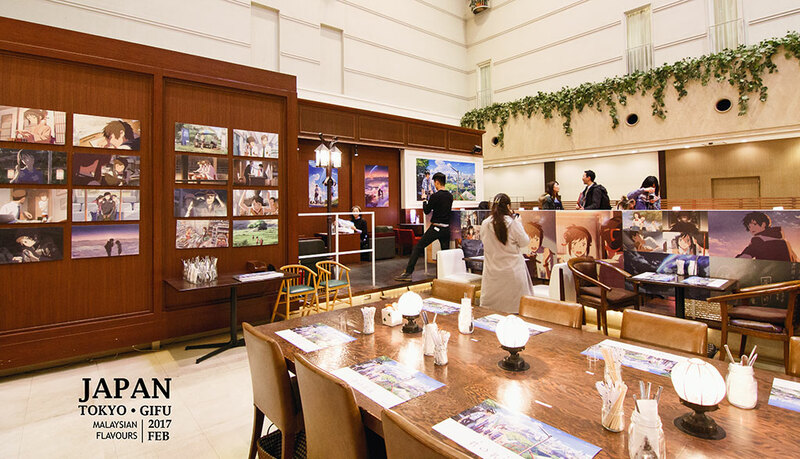 Their dining options are worth mentioned, complete with restaurants in different cuisine – European Restaurant Baden Baden, Chinese Dining Room Ryuyuri, Bar Marone, Lobby Lounge Evian. Our room was sooooo big. The bathroom was even bigger. Came and left Gero like lightning, less than 12 hours. Why are we leaving Gero that soon??!! Didn’t even get the chance to soak our feet in their public hot spring. Do try if you were here. 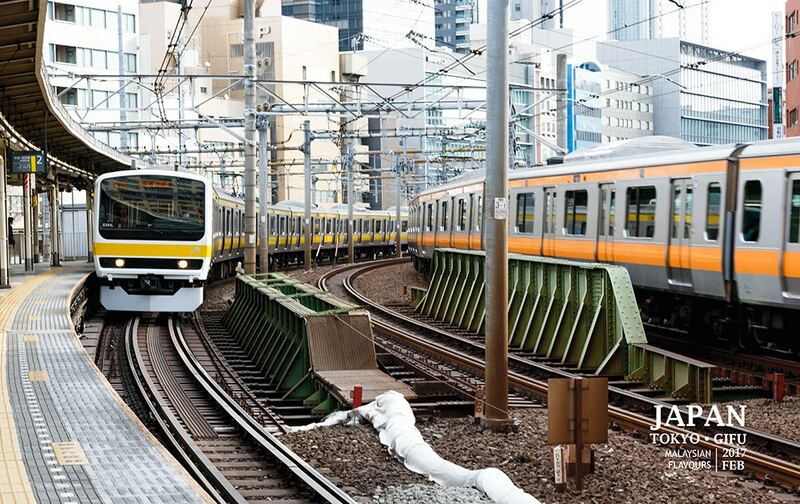 Busy schedule on forth day in Japan, hopped on and off buses and trains to designated destinations. 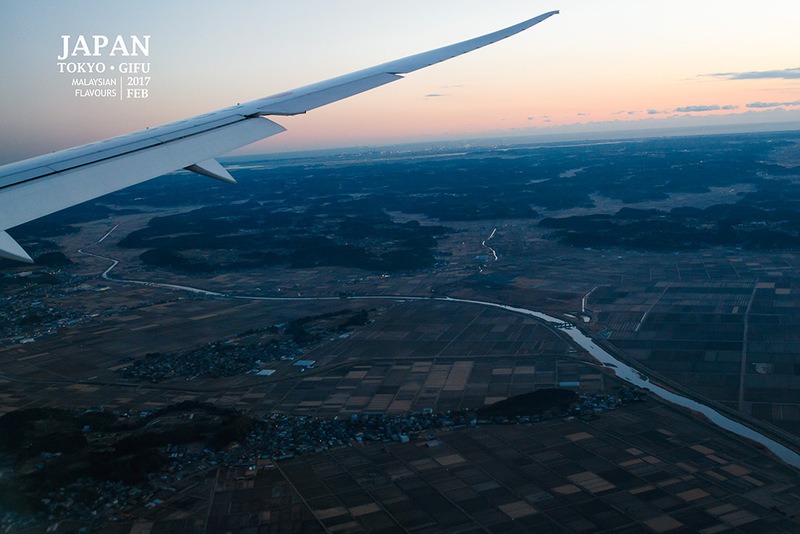 Slowly away from snows and mountains, getting back to the city with first stop at Nagoya. Yay, we made it to Kimi no Na wa (Your Name) movie pop-up theme cafe! 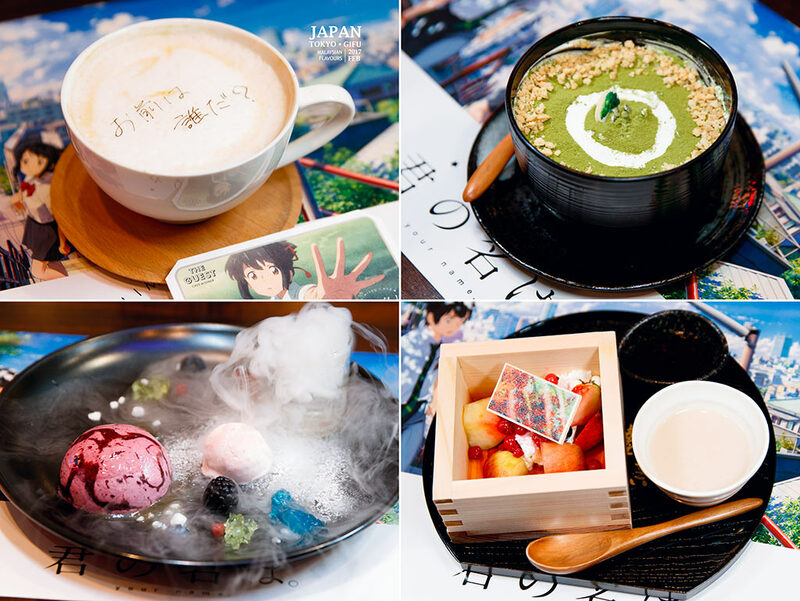 We were first sad because Your Name Theme Cafe in Tokyo Ikebukuro 池袋 was ended in 7th February. 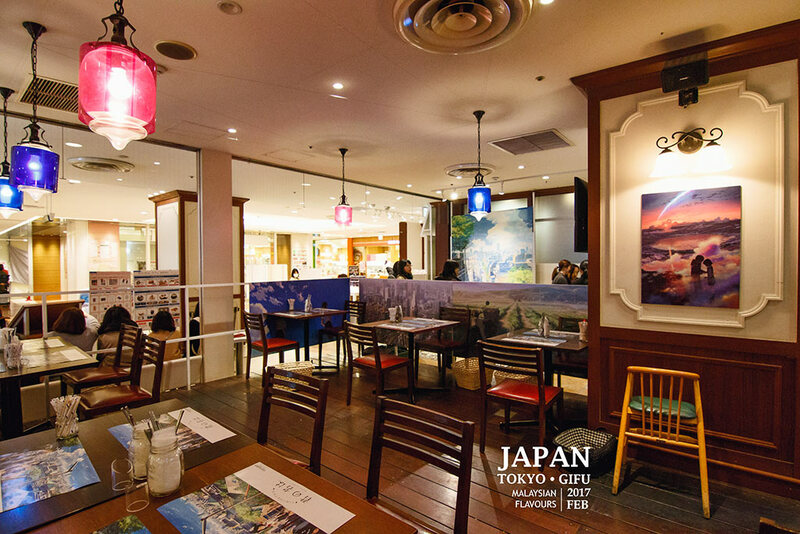 So happy that the pop-up cafe is continued from 27th January – 3rd April 2017 at The Guest Cafe & Dine, PARCO Nagoya PARCO Mall! 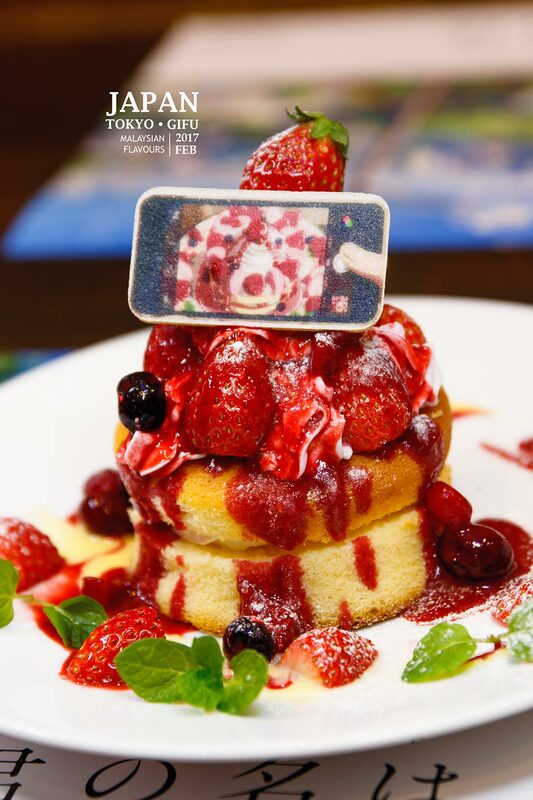 Food menu for Your Name Cafe features many dishes seen in the movie into real, such as the salmon breakfast Taki’s dad asked him to finish when he woke up late; Mitsuha breakfast in Itomori Town; strawberry pancake eaten by Taki on a cafe hopping with his friends; pizza served during his part-time job at the Italian restaurant .. 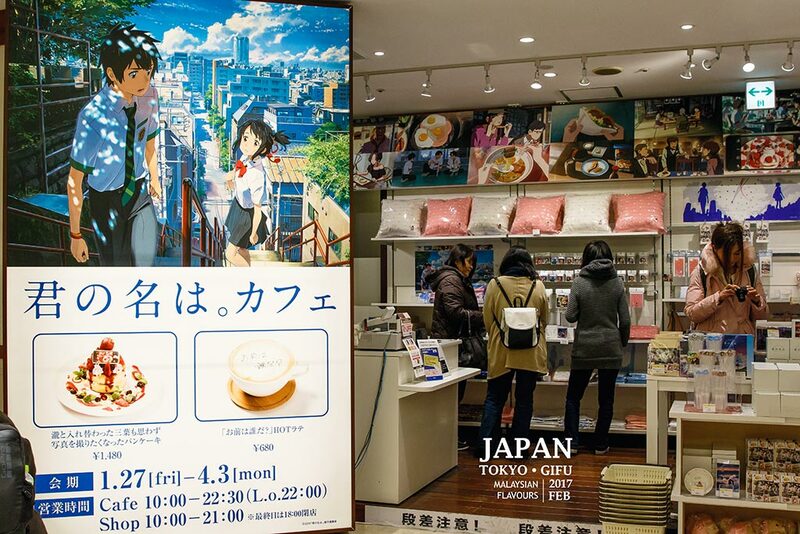 Fans of Kimi no Na Wa, you may want to add your collection with limited edition Your Name merchandise sold in The Guest Cafe & Diner. Mugs, cookies, key chains, shirts, sake wooden cup, and mini note book. 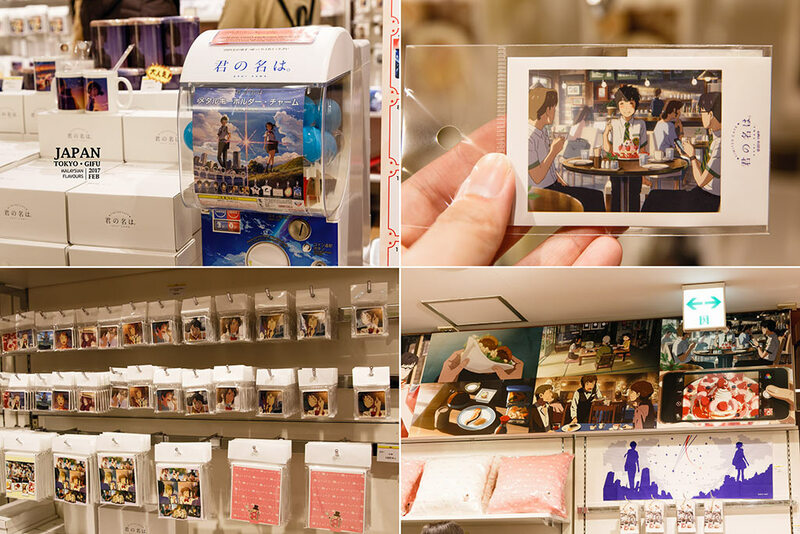 You also can get these souvenirs at PARCO in Sendai, Osaka, Hiroshima, and Fukuoka specific Your Name Collaboration Merchandise Shops. Nagoya, Aichi Prefecture 460-0008, Japan. From Nagoya to Tokyo. Let’s rock the city! 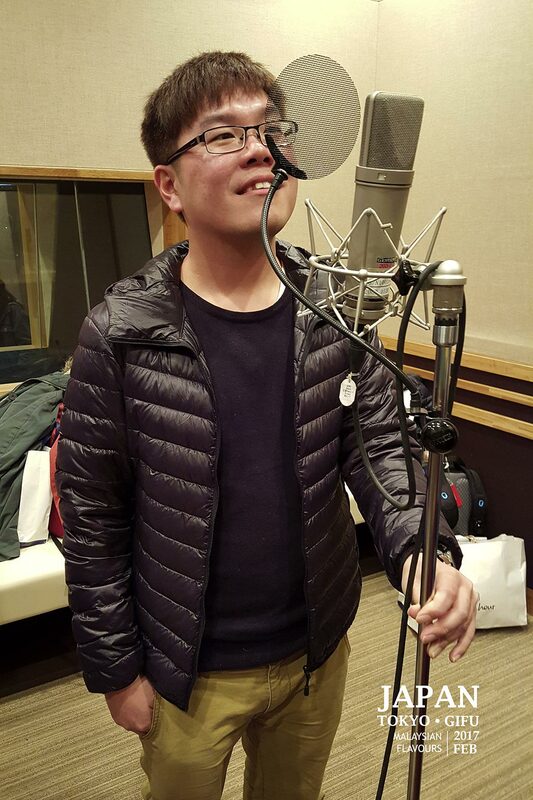 Being voiced character for Kimi no Na Wa in Glovision Studio. LOL. Summerkid was given Takumi role. Once in a life time kind of activity. Last night in Japan. 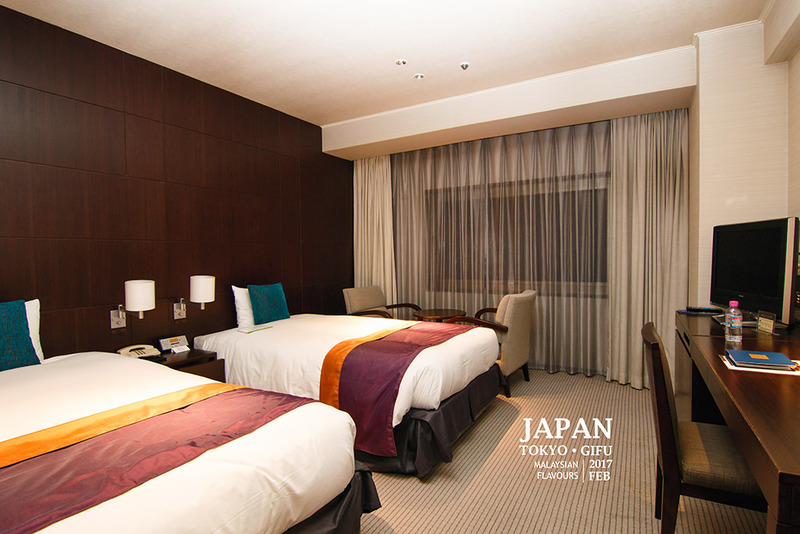 We stayed in Hotel Metropolitan Edmont Tokyo. 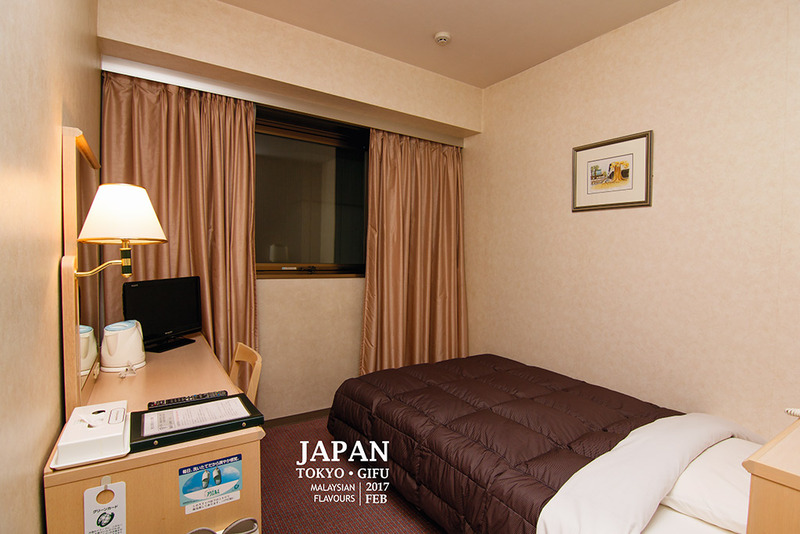 A 4-star hotel near to Iidabashi subway station. 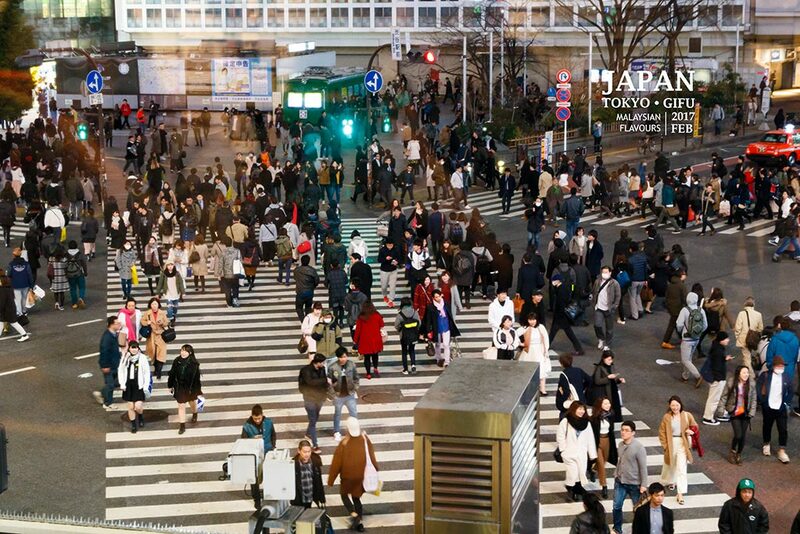 Like the location has it gives easy access to many tourist attractions in Tokyo, such as Shibuya, Shinsaibashi, Ikebukuro and so forth. The hotel also has special bus stop to Disney Sea Tokyo. Good morning! 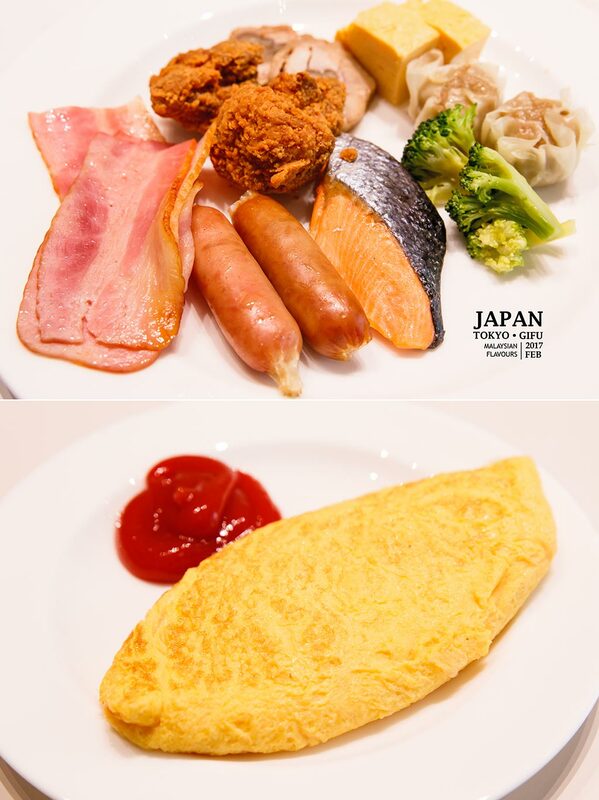 Breakfast at Tokyo Metropolitan Hotel in Iidabashi. 12 more hours before leaving to Narita Airport. Grabbed the remaining time and remaining money in our SUICA Card, walked faster than usual to cover real locations from Your Name / Kimi no Na wa movie. 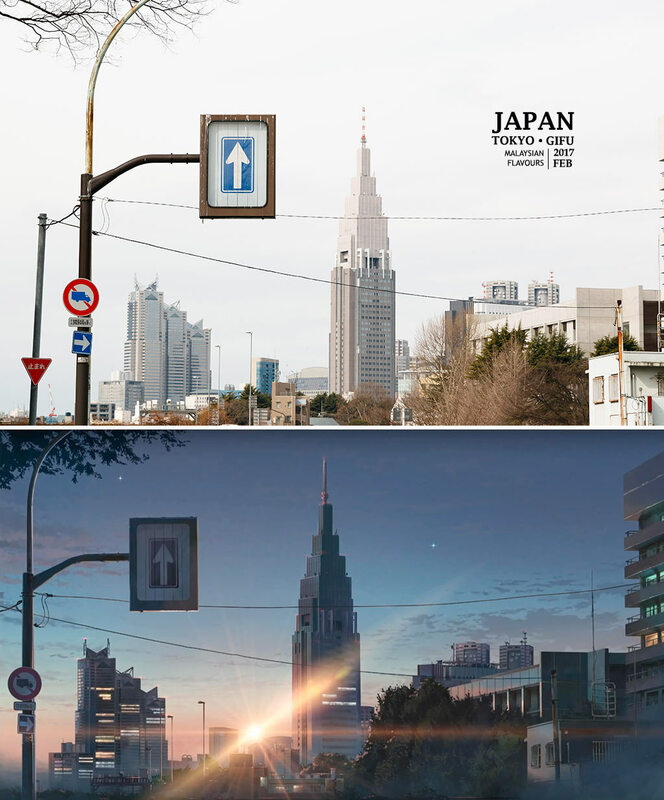 This scene appeared in the very beginning of the movie to symbolize Tokyo city. 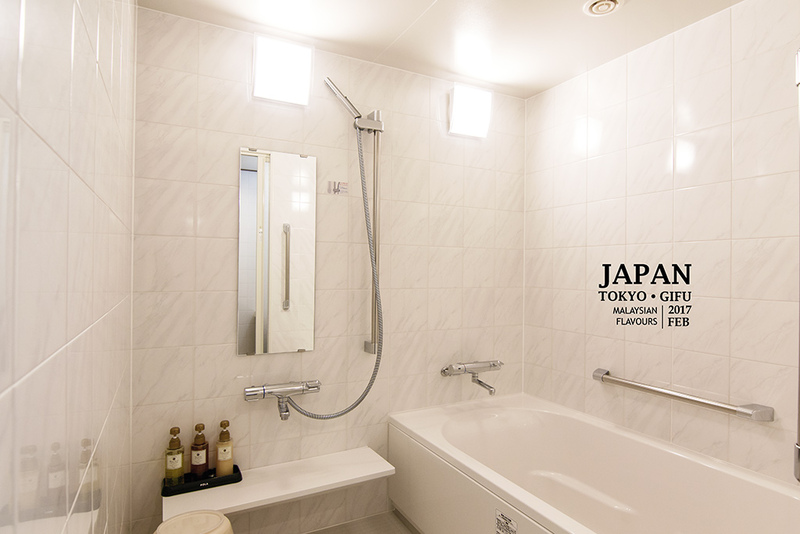 It is very easy to reach, just align at JR Shinanomachi station and you will see it after walking out from Exit 1,2. The place where Miki and Taki had conversation before saying goodbye to each other. After Miki left, Taki decided to call up Mitsuha but failed to reach her. 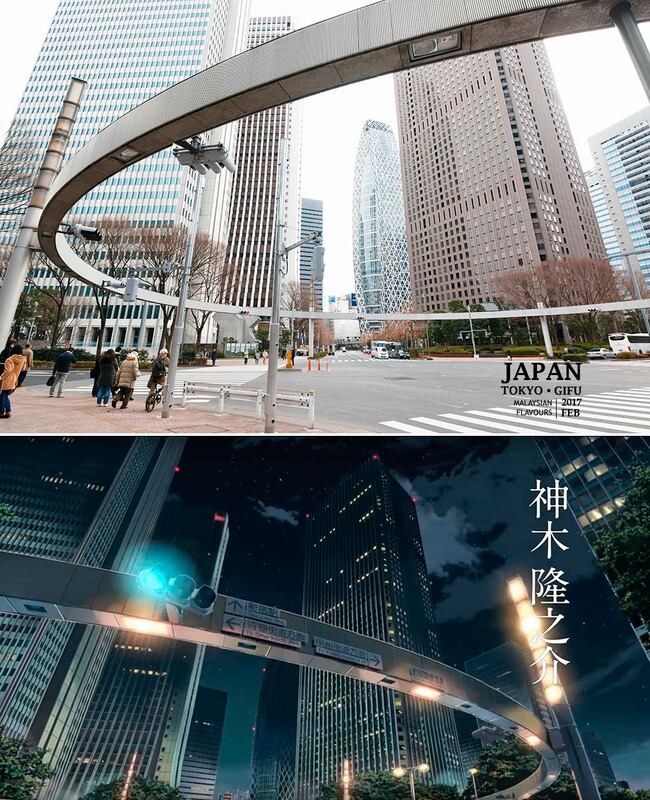 The location of this pedestrian bridge is same as the NTT Docomo Yoyogi Buidling scene, you’ll see it on your right upon exiting the station. 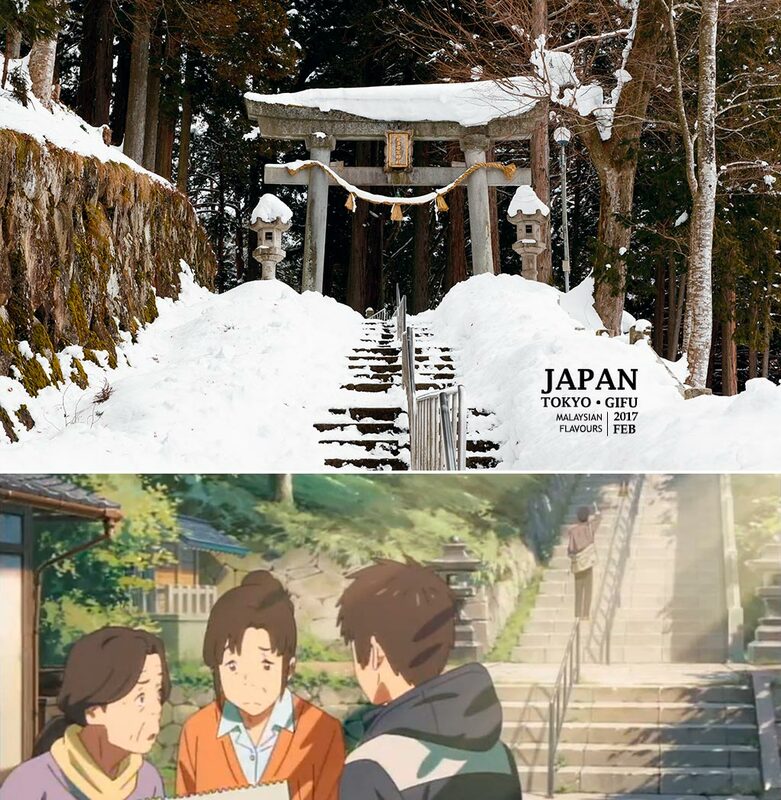 Staircases next to Suga Shrine 須賀神社 appeared in one of the most touching scenes in Kimi no Na wa movie. 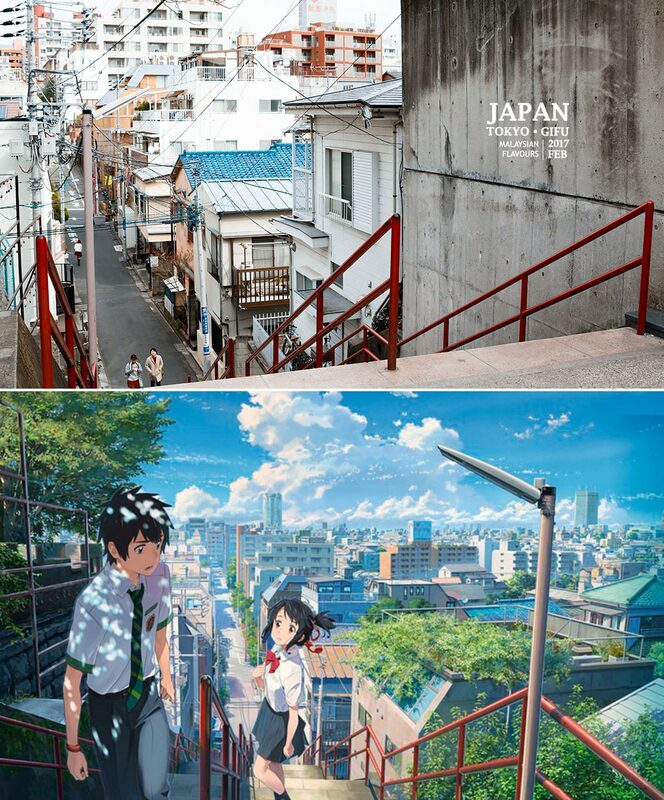 It happened at the very last few minutes before the movie ended, where Taki and Mitsuha looked for each other and finally meeting each other at the staircases. One of our favourite scenes in Kimi no Na wa movie. It looks so real, almost same as in the movie. This scene is used at the trailer, and at the beginning of movie. 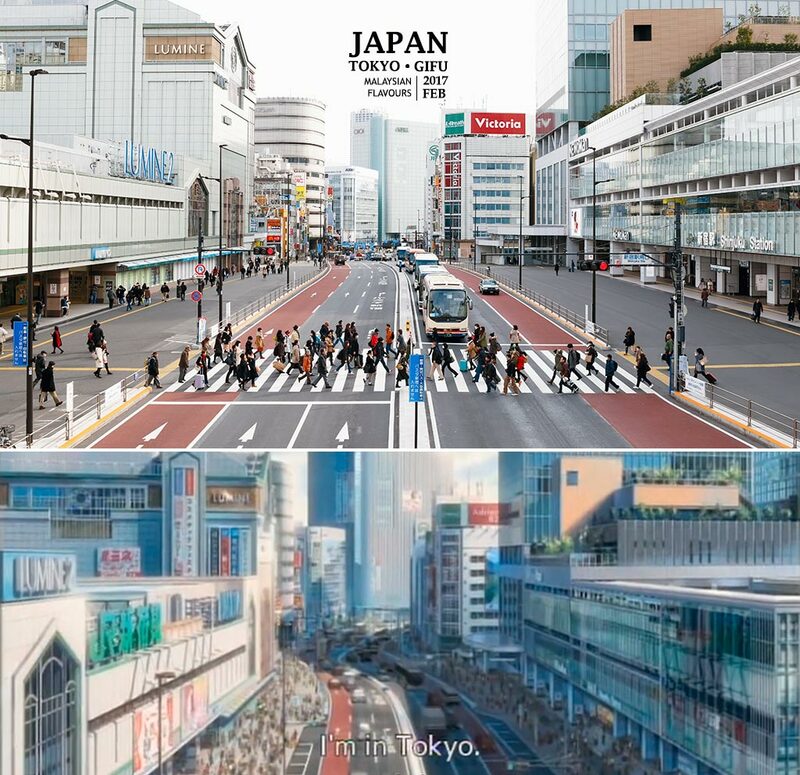 Shinjuku station, appeared in the movie when Taki was on his way to school. At that time, Mitsuha was “taking over” his body. She took some time locating Taki’s high school, in the end being late to school. In the mean time, she was so happy walking in this city. Finally, it came to an end. 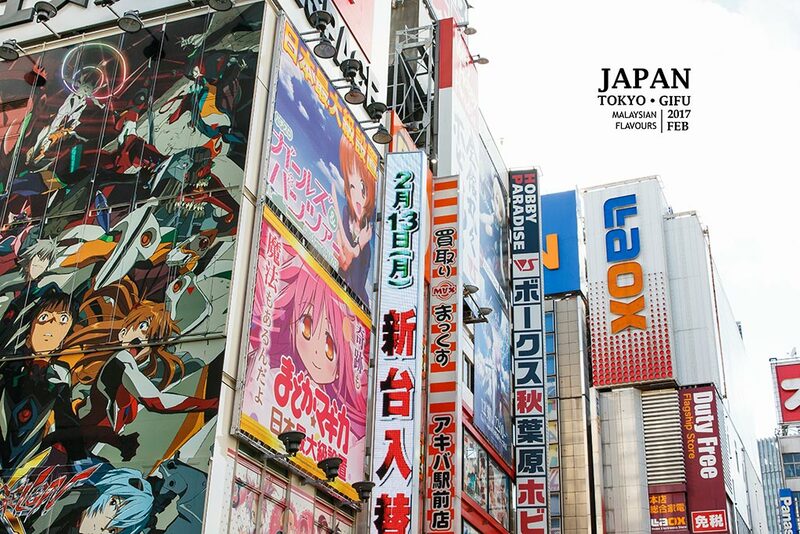 Second trip to Japan made us felt that there are a lot more hidden gems in Japan that we should discover. Bye, till next time. For those who are travelling to Japan, remember to get a copy of Japan Walker SEA from Kinokuniya bookstore, KLCC Malaysia! 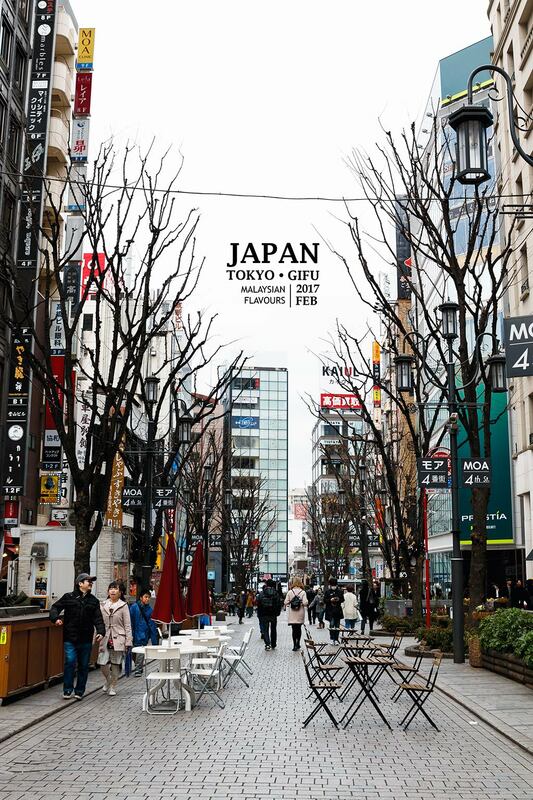 Very informative magazine that provides interesting tourist spots in Japan, available in English and Malay version. 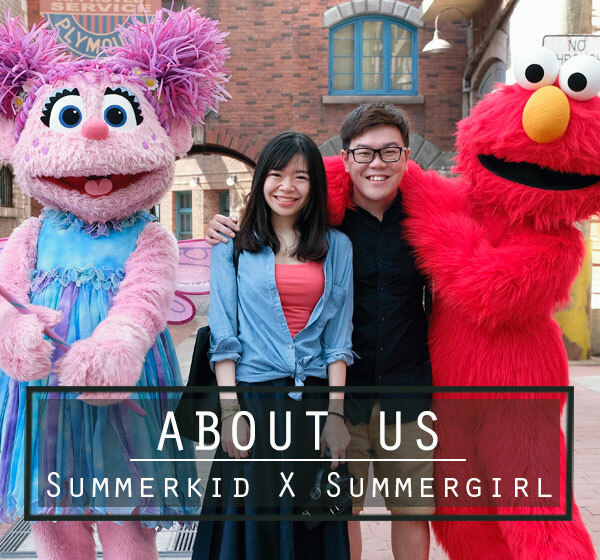 Visit their Facebook page at https://www.facebook.com/japanwalkersea/ for latest updates.